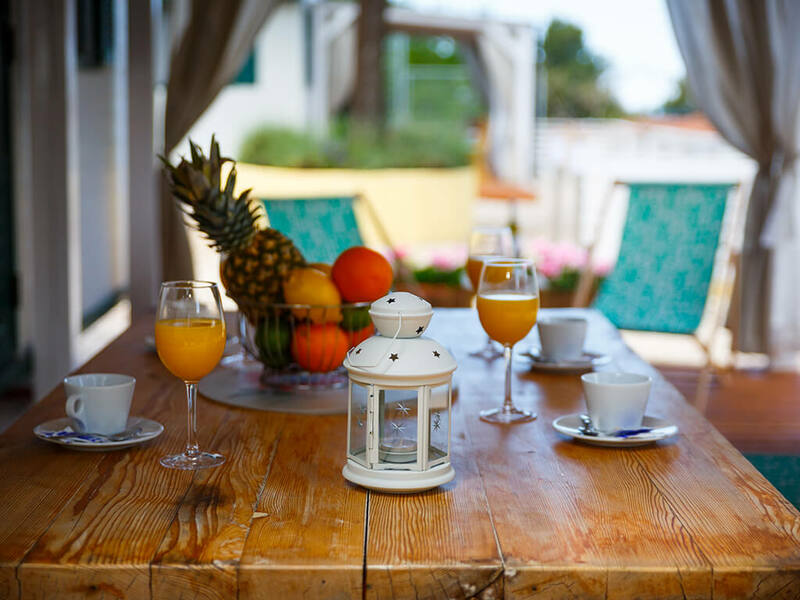 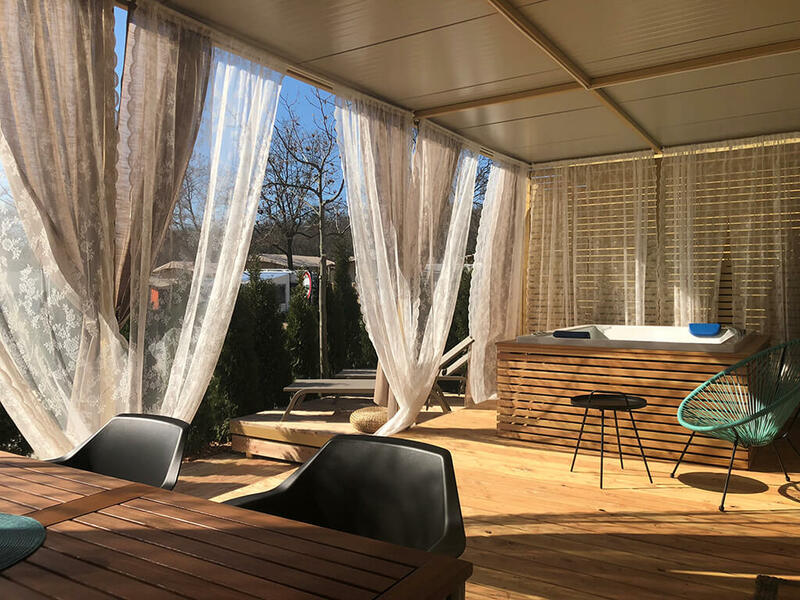 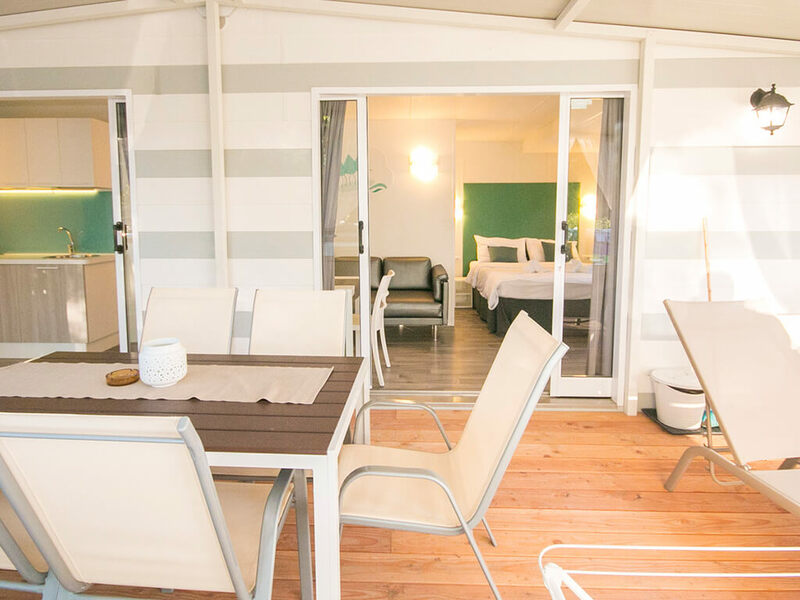 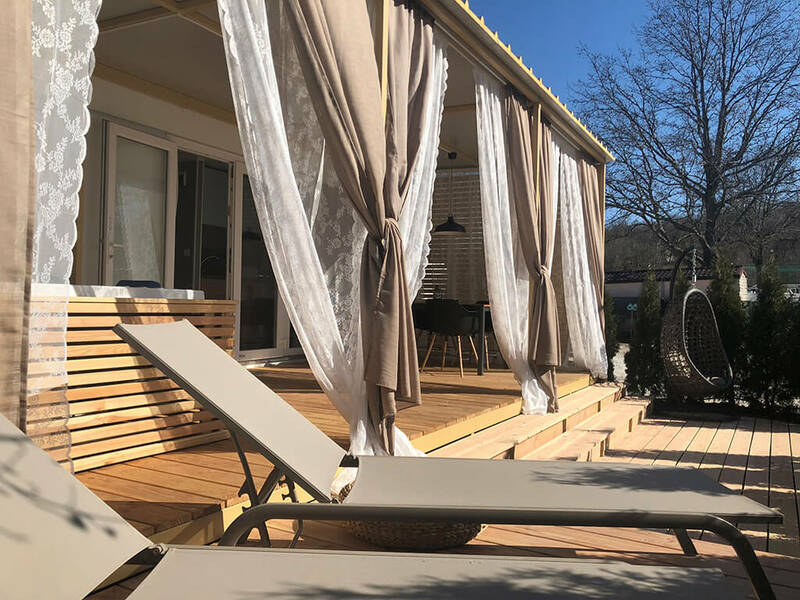 A mobile home with sea view, by the sea, in an isolated spot in an oak tree forest or for stays throughout the year – you can find all of this in Vrsar. 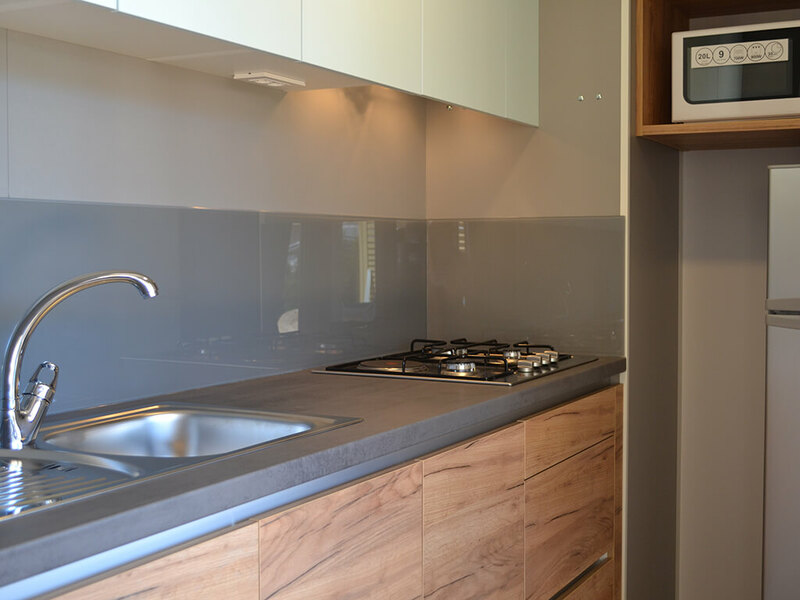 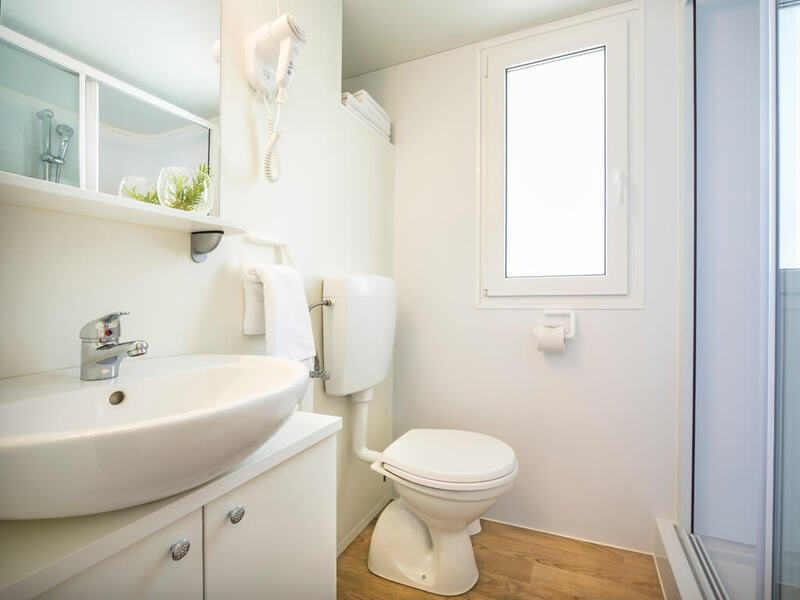 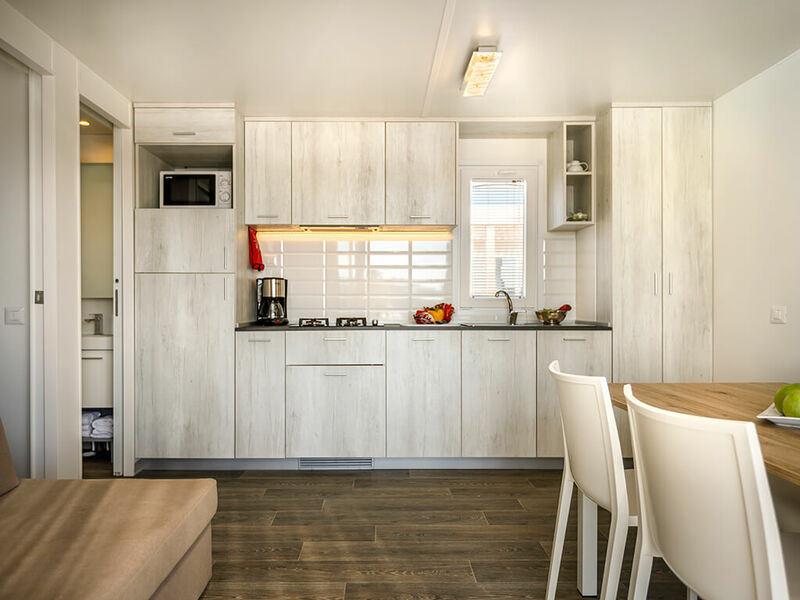 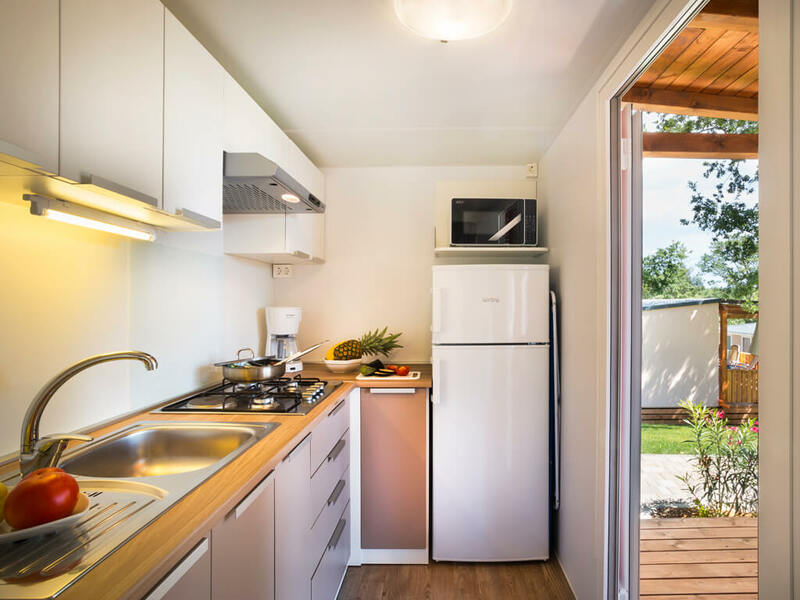 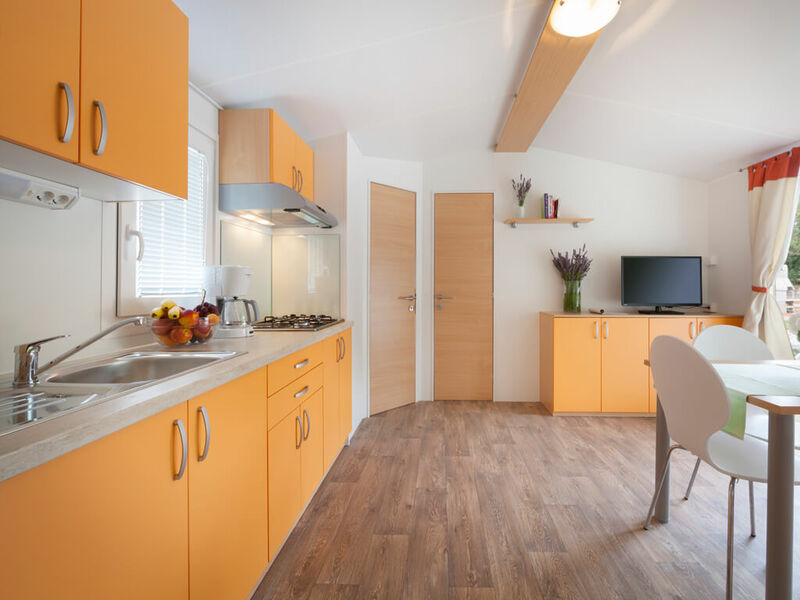 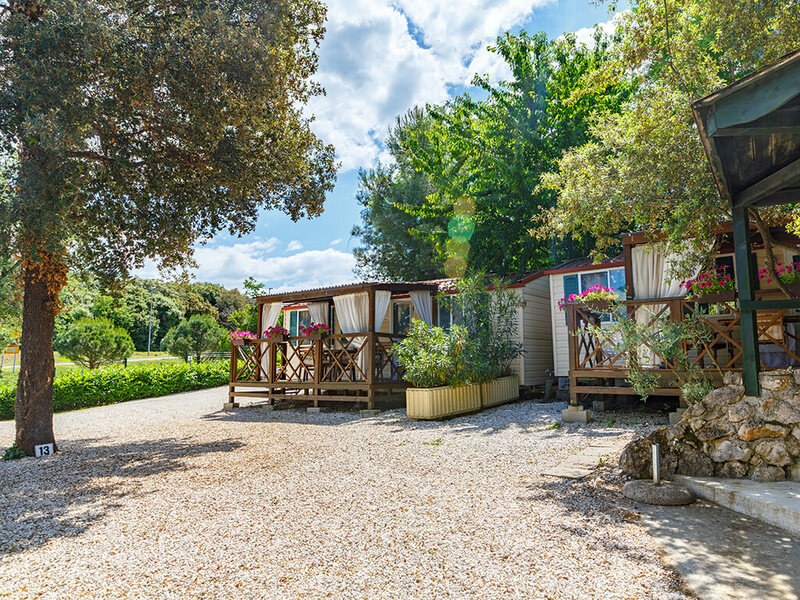 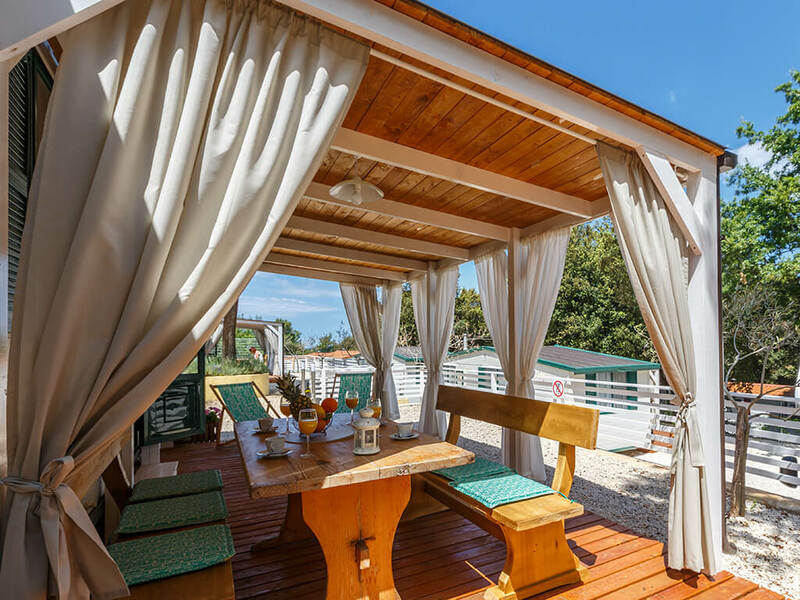 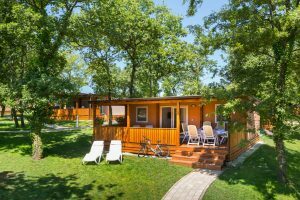 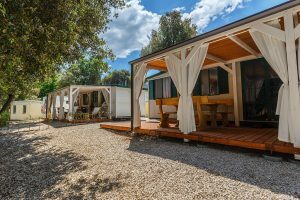 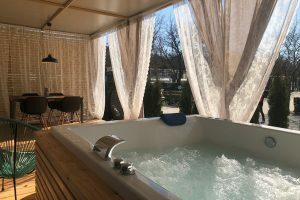 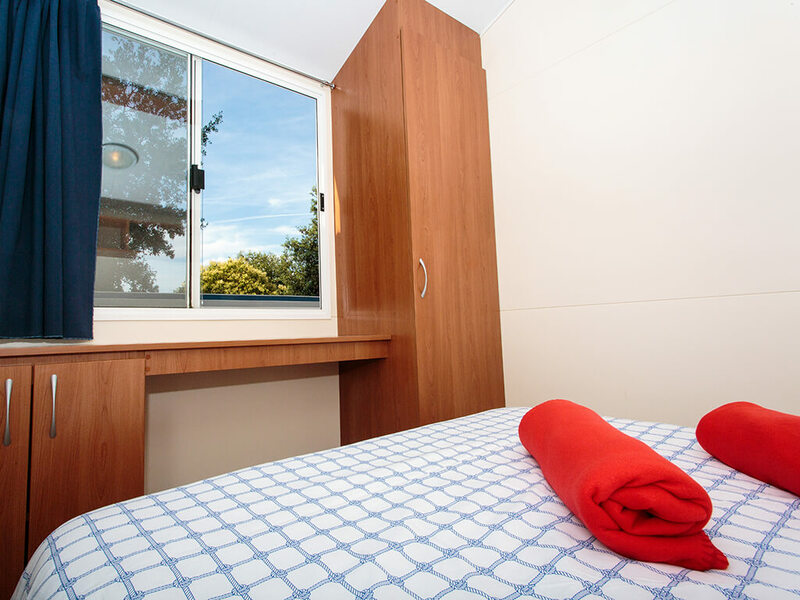 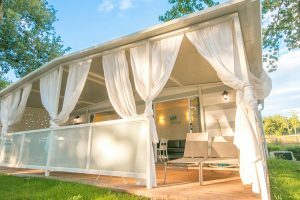 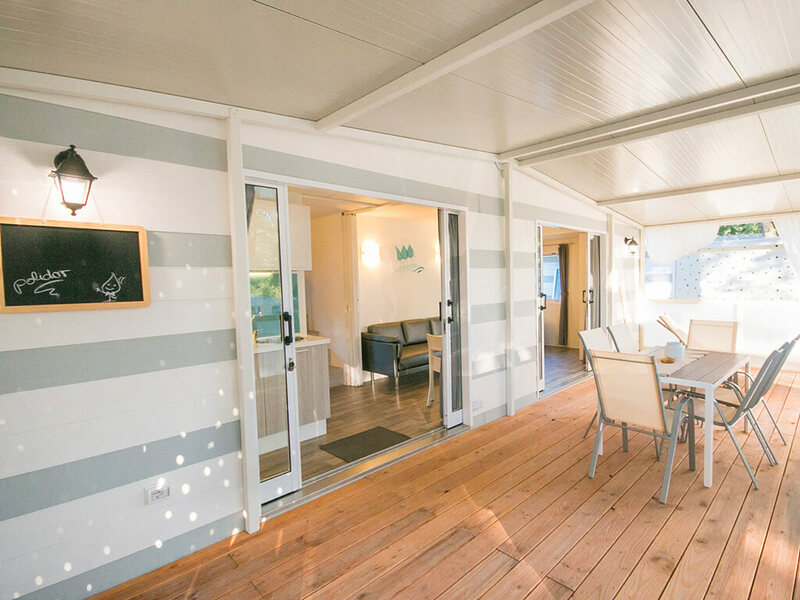 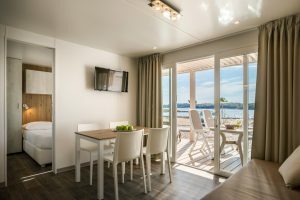 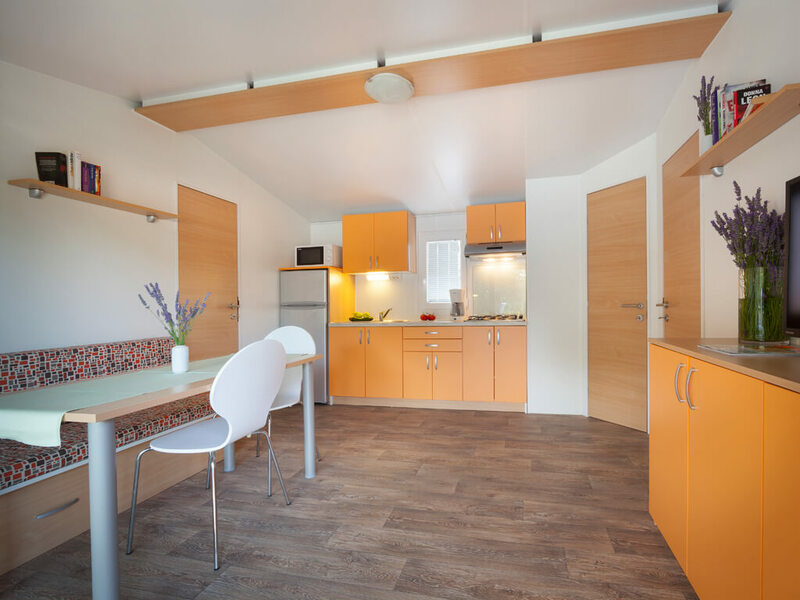 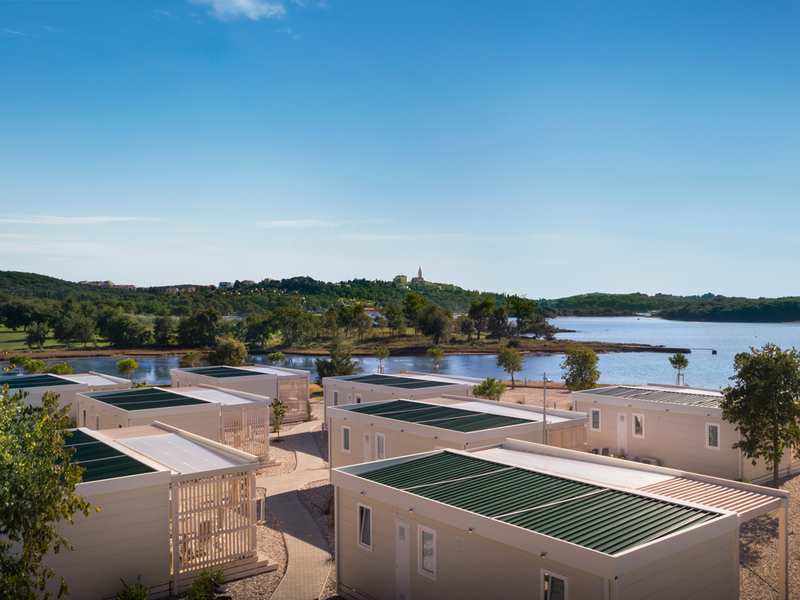 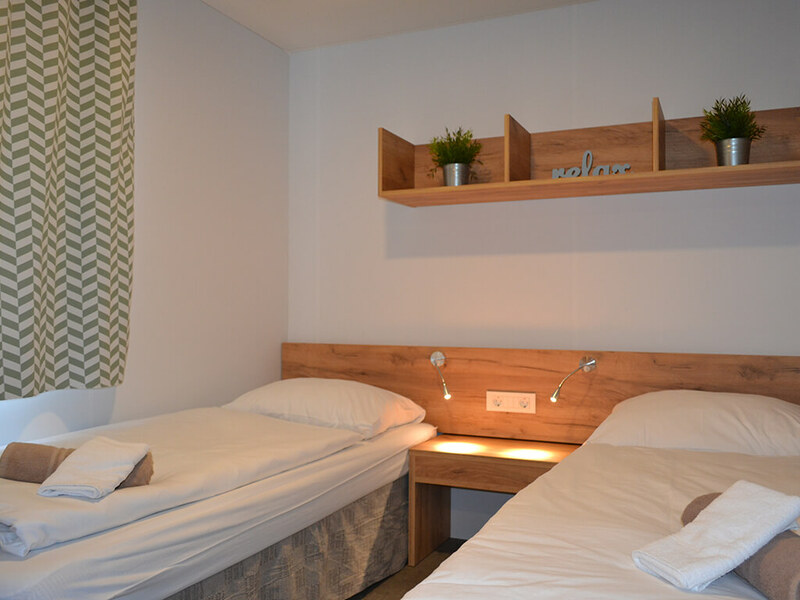 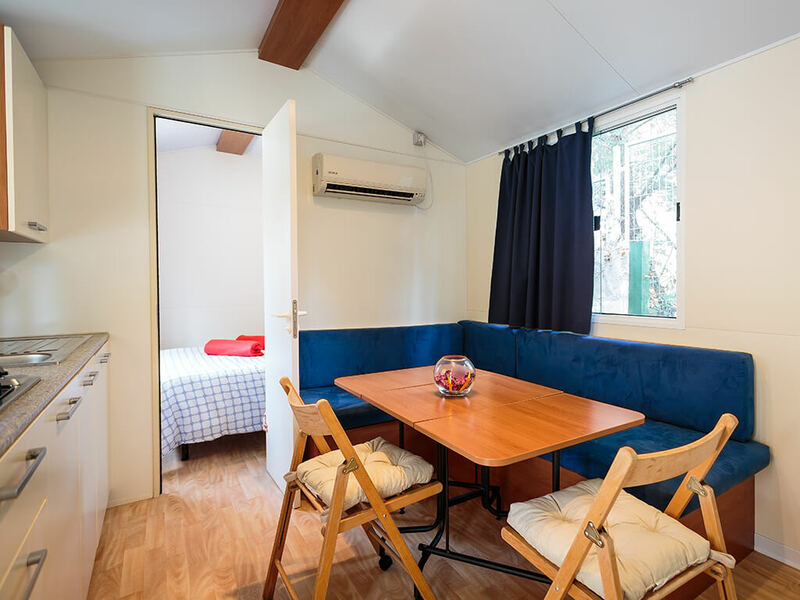 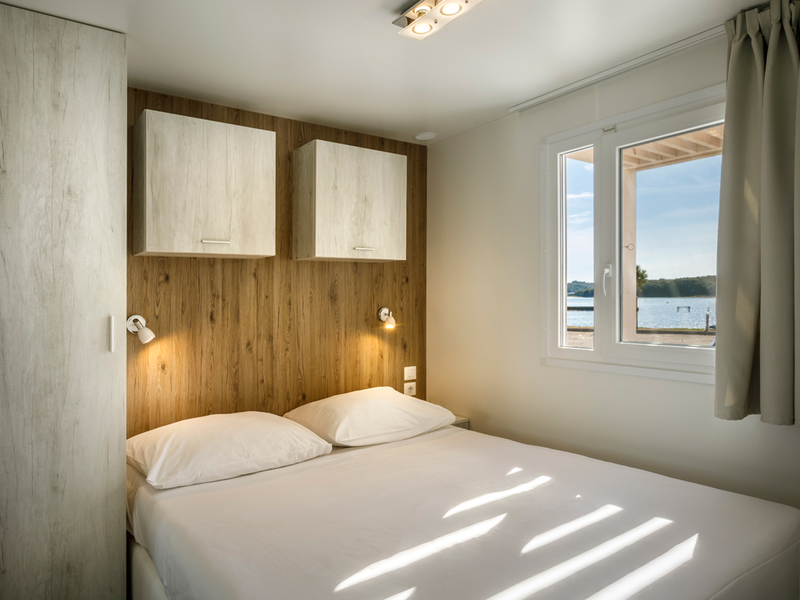 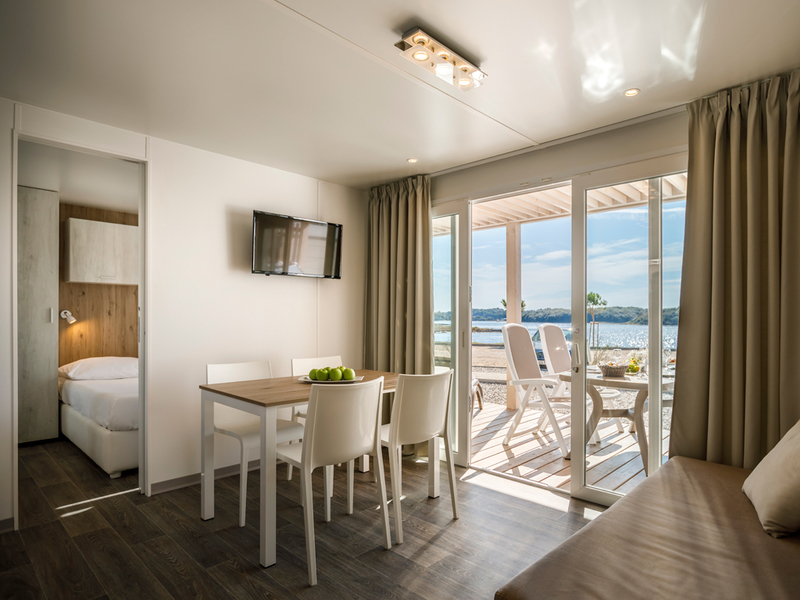 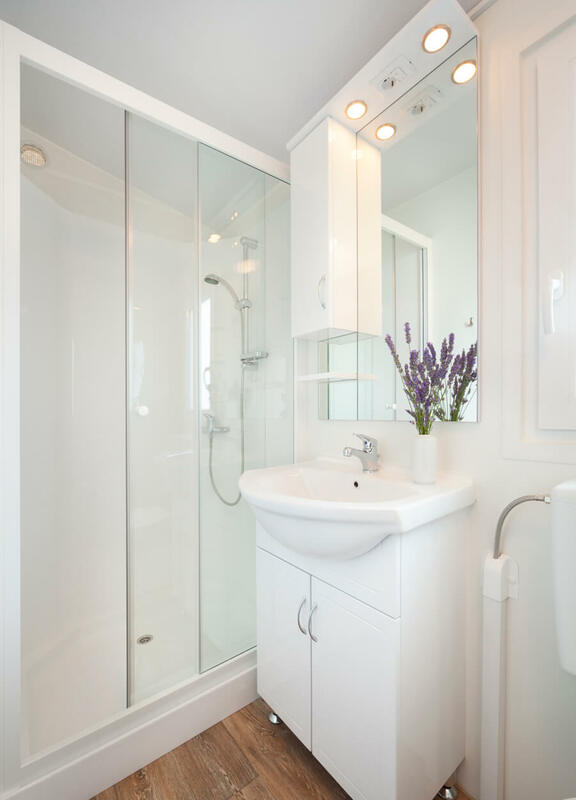 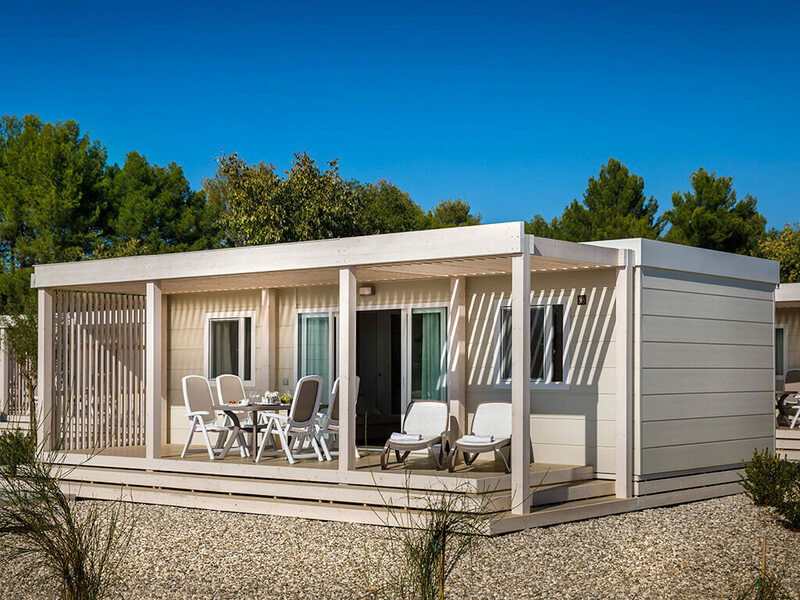 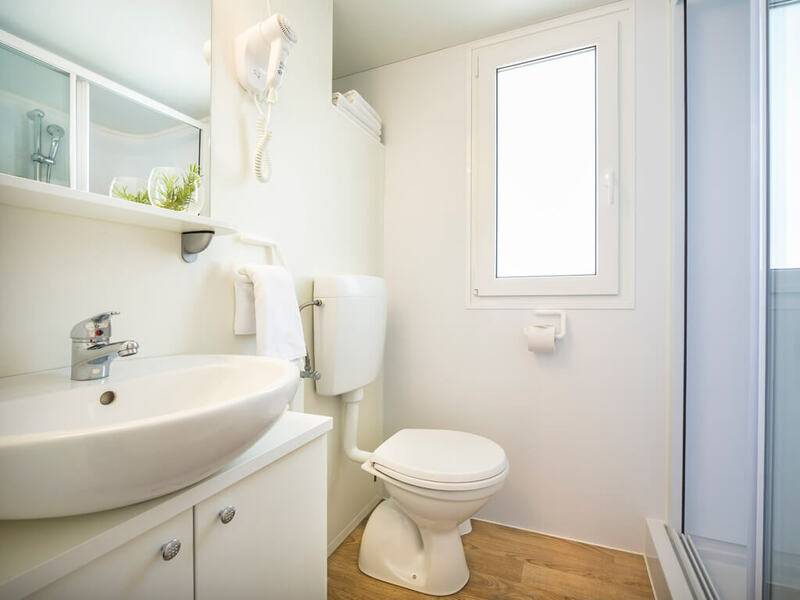 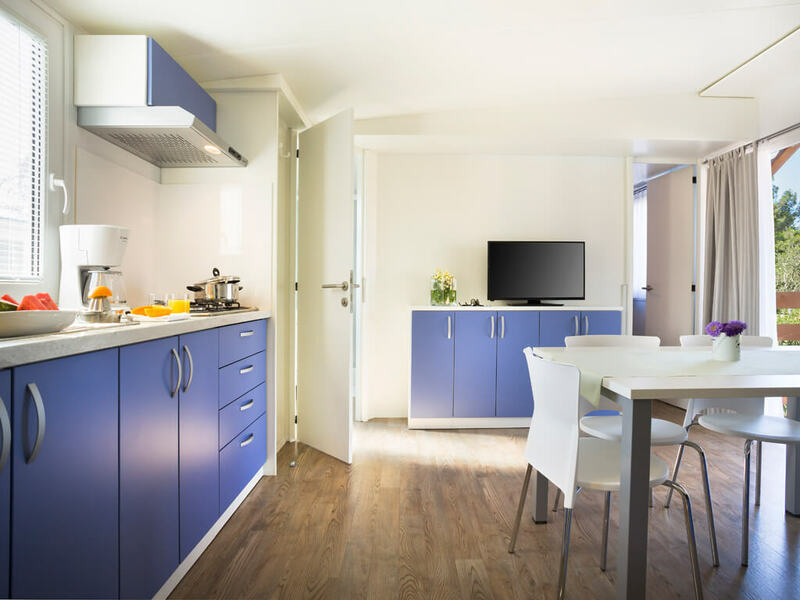 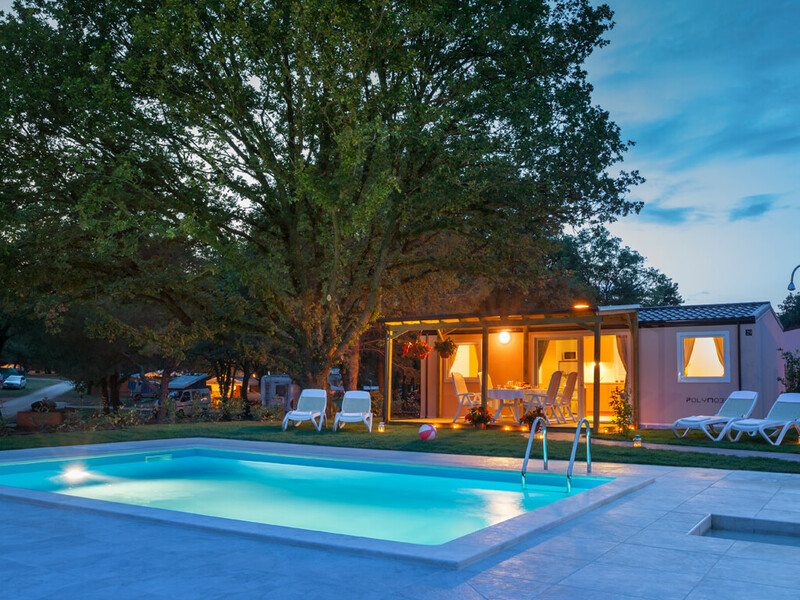 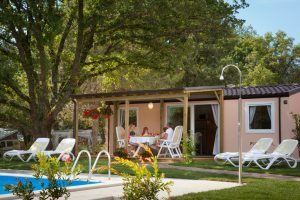 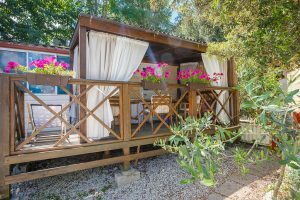 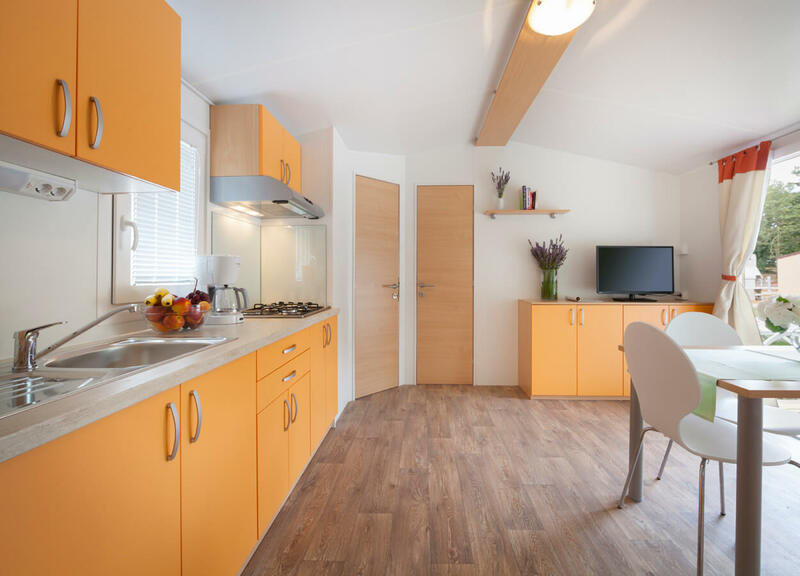 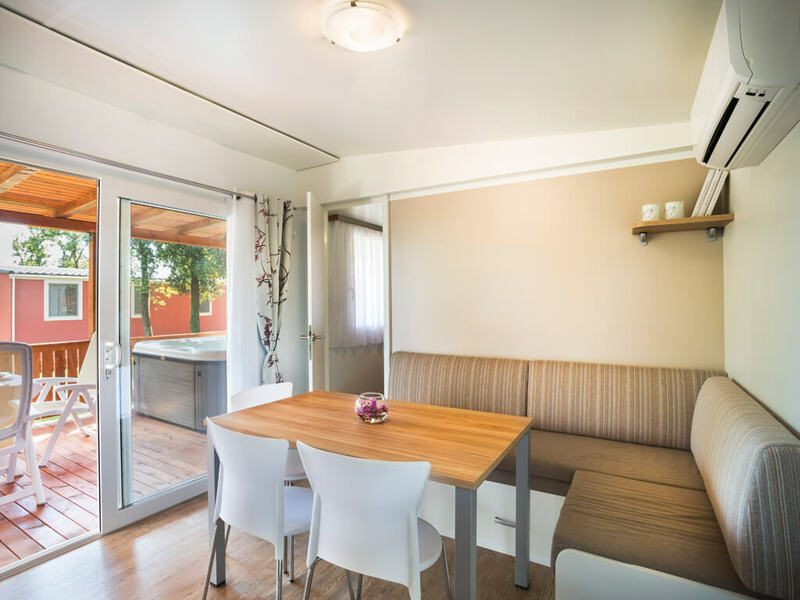 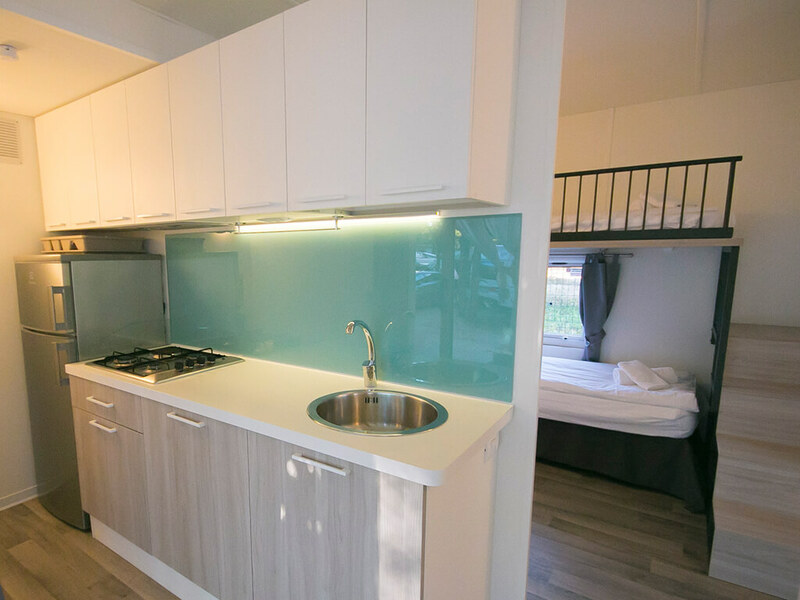 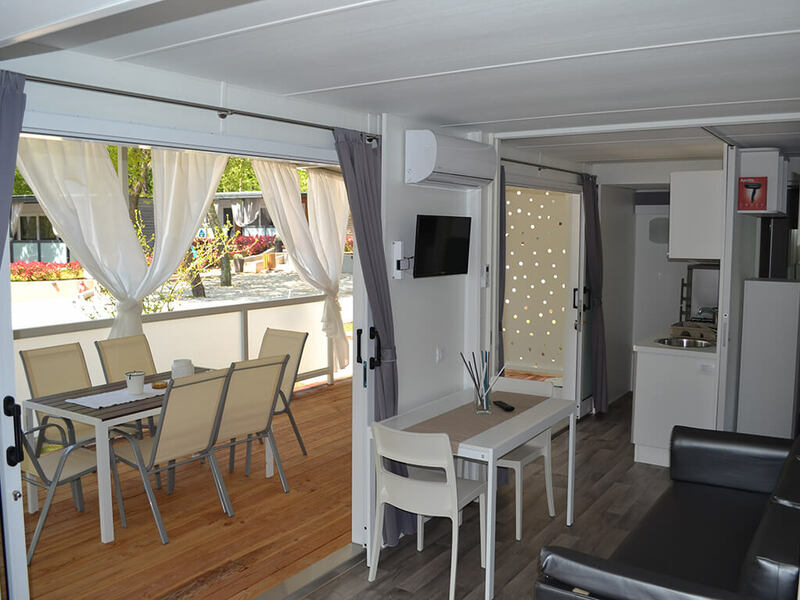 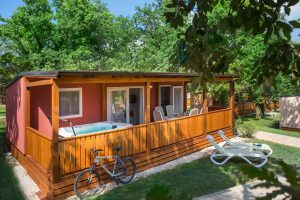 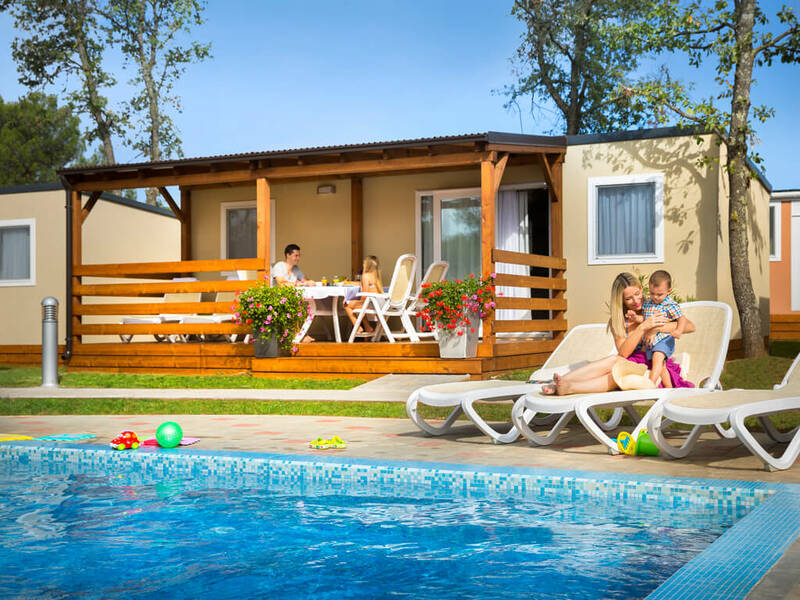 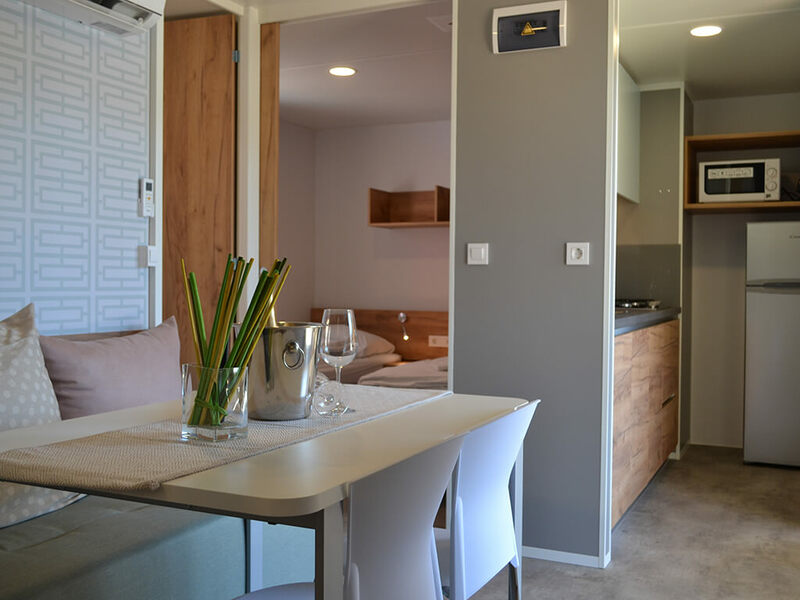 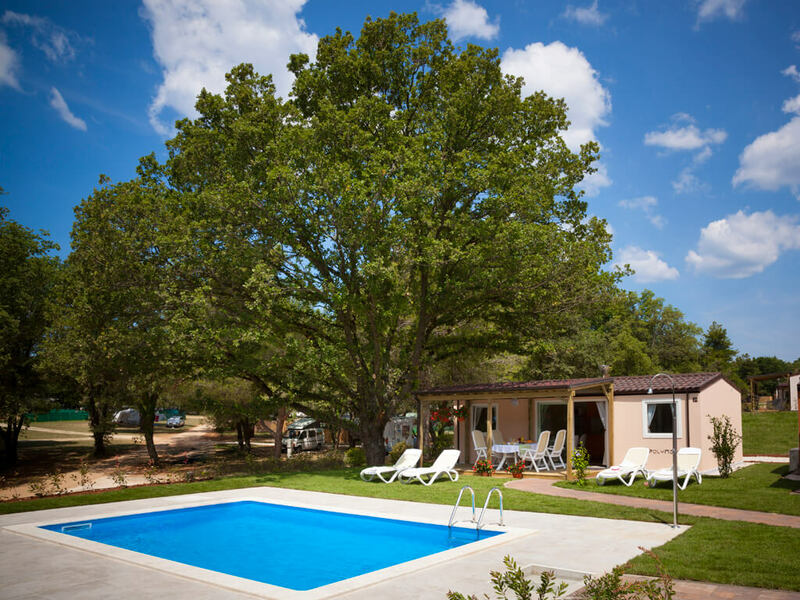 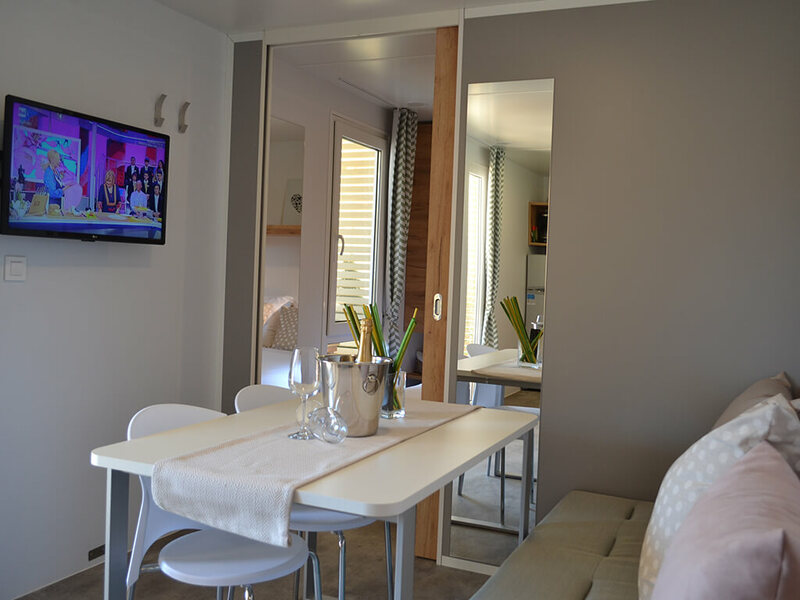 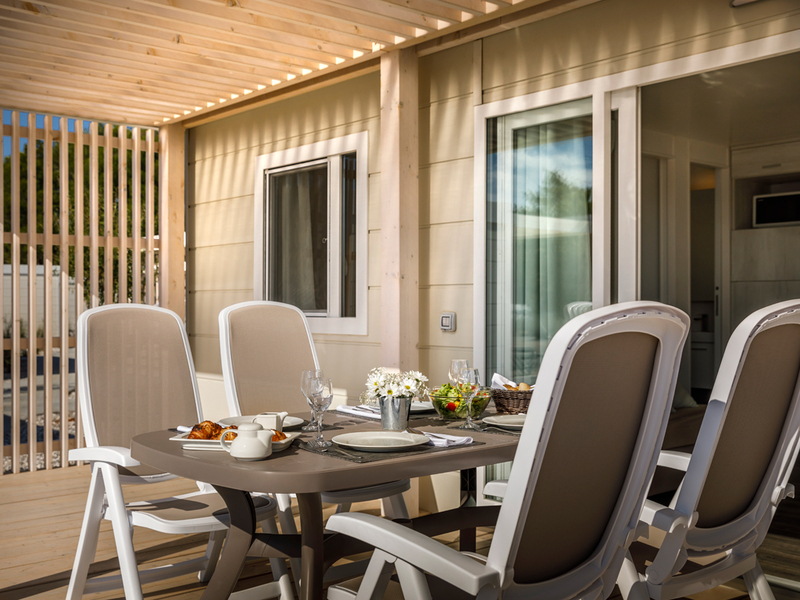 Modern and fitted with the latest equipment, mobile homes in Vrsar are situated at campsites near the town of Vrsar itself. 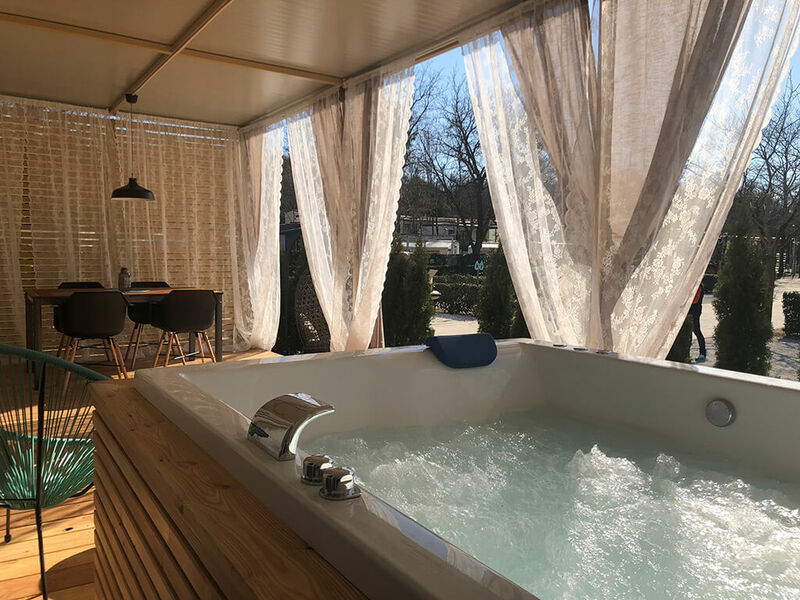 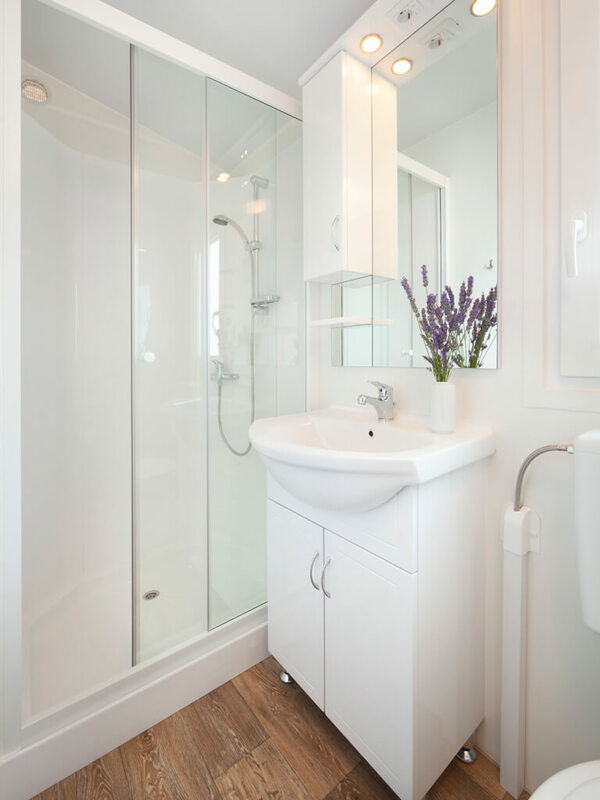 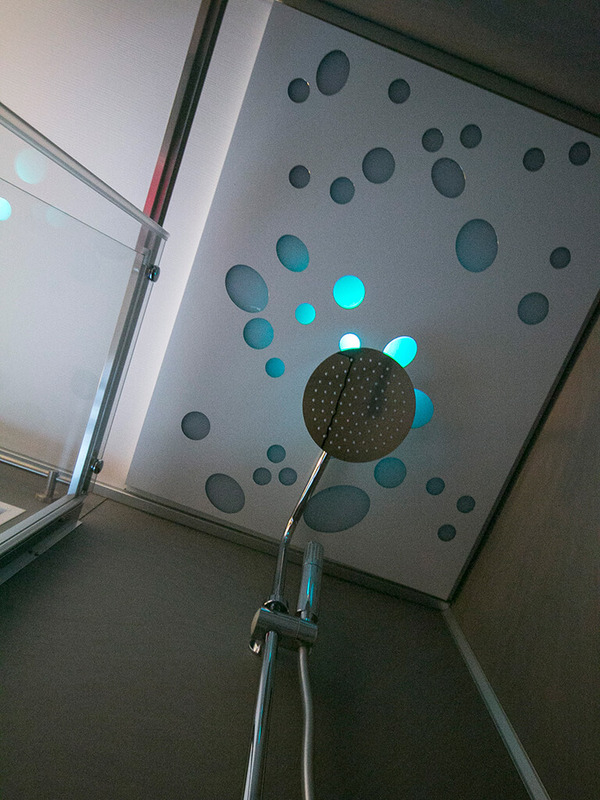 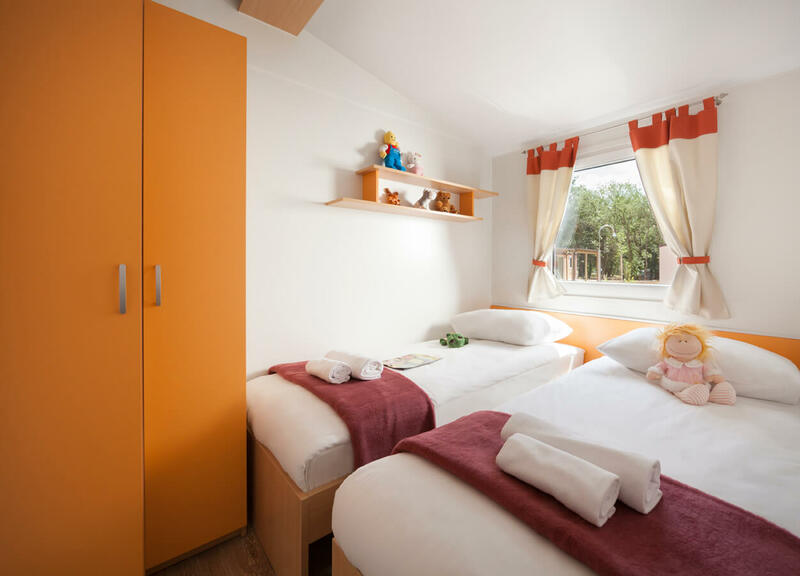 You can choose between mobile homes with sea view or isolated mobile homes with hydro massage tubs on covered terraces. 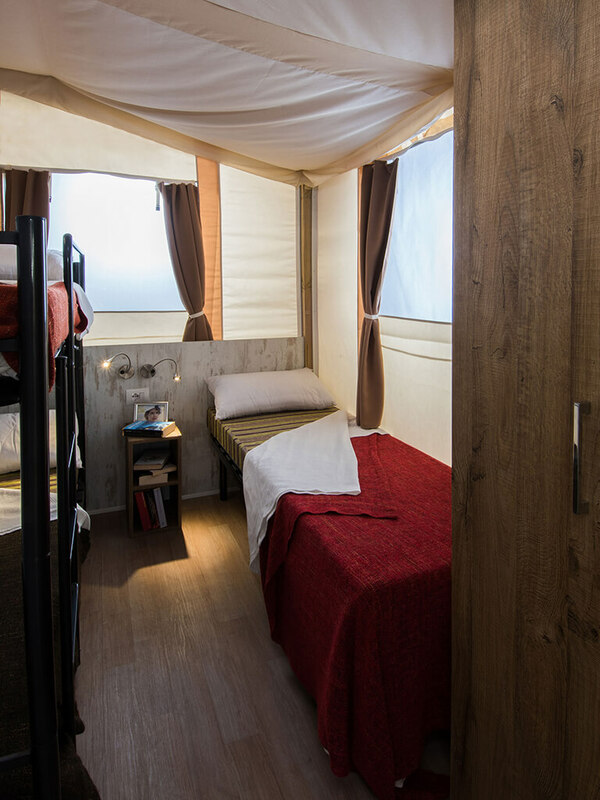 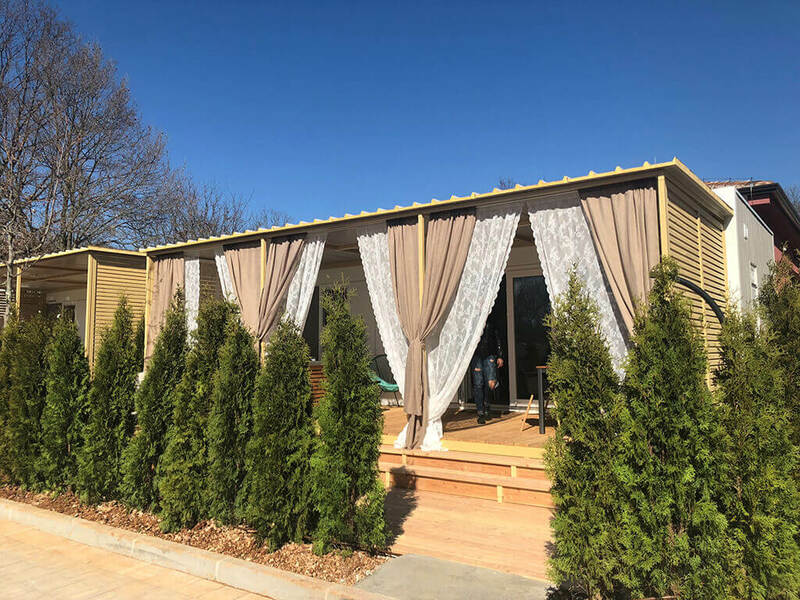 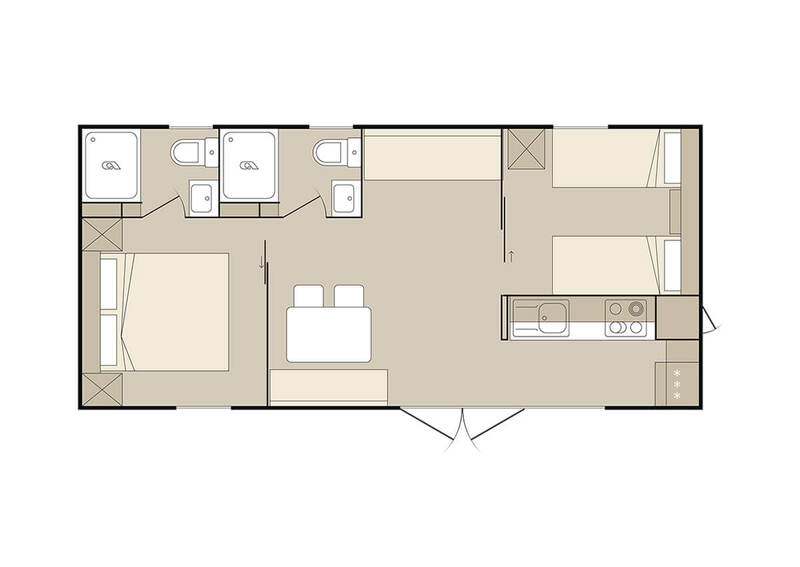 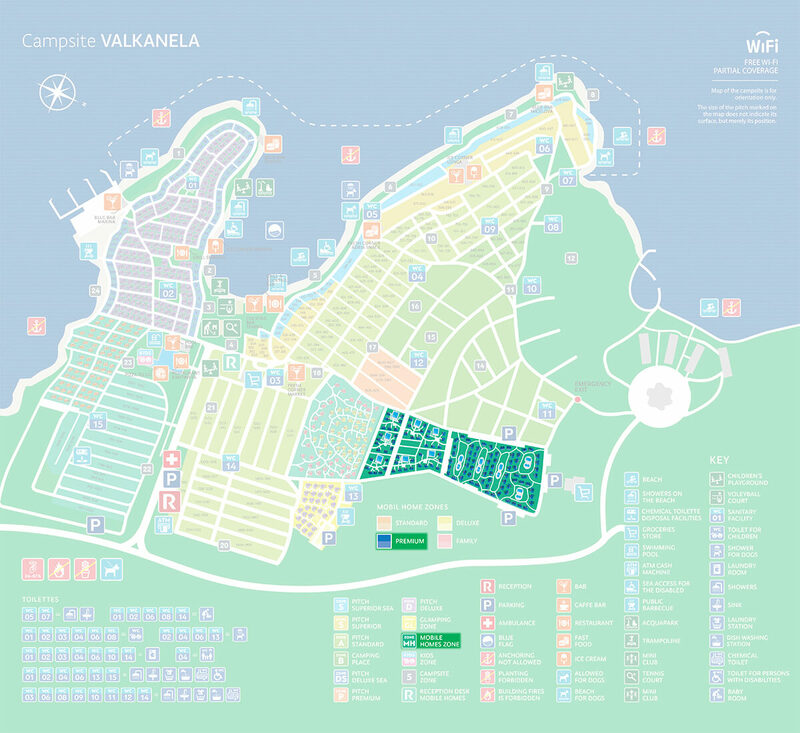 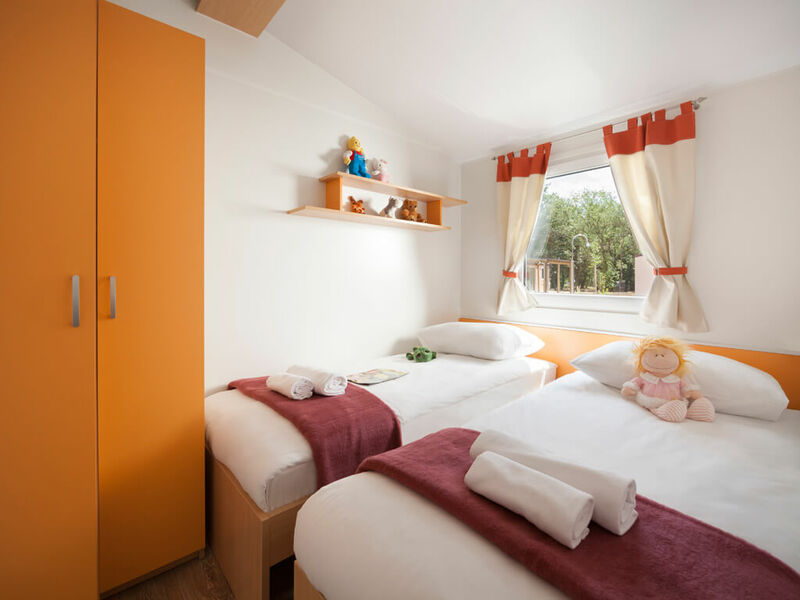 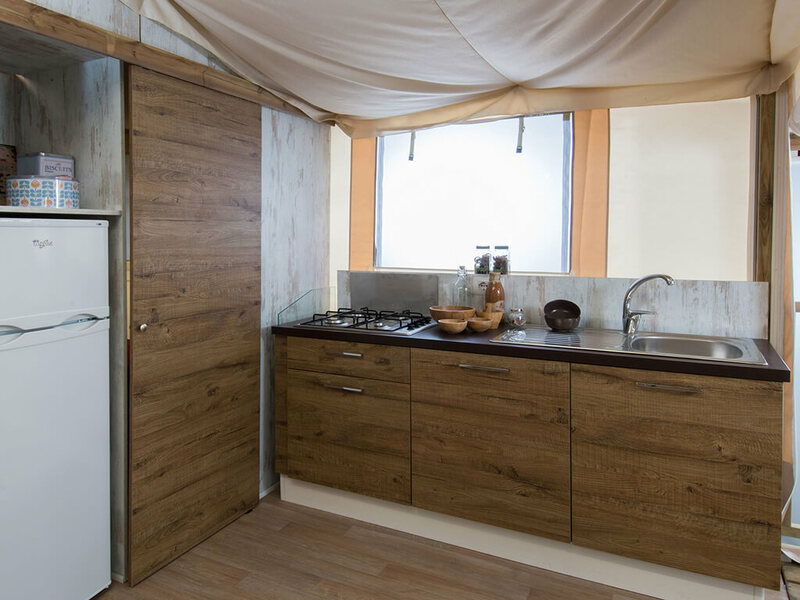 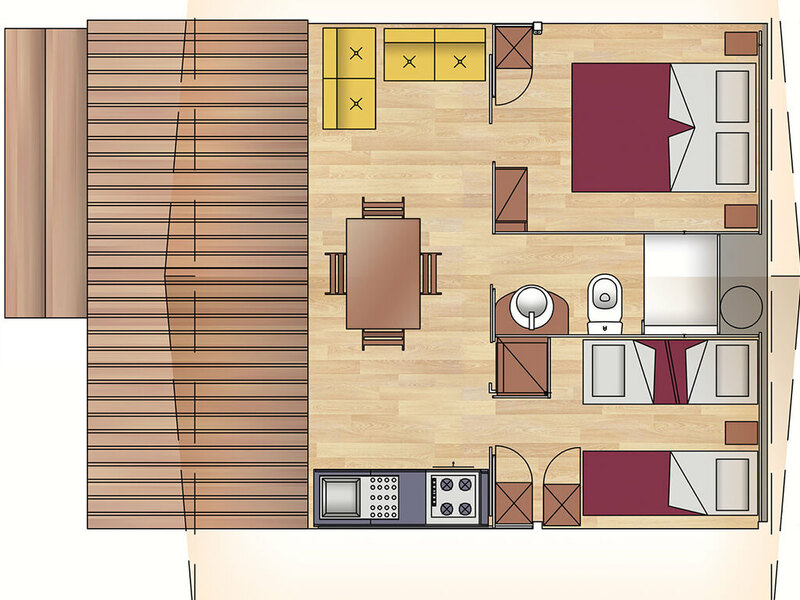 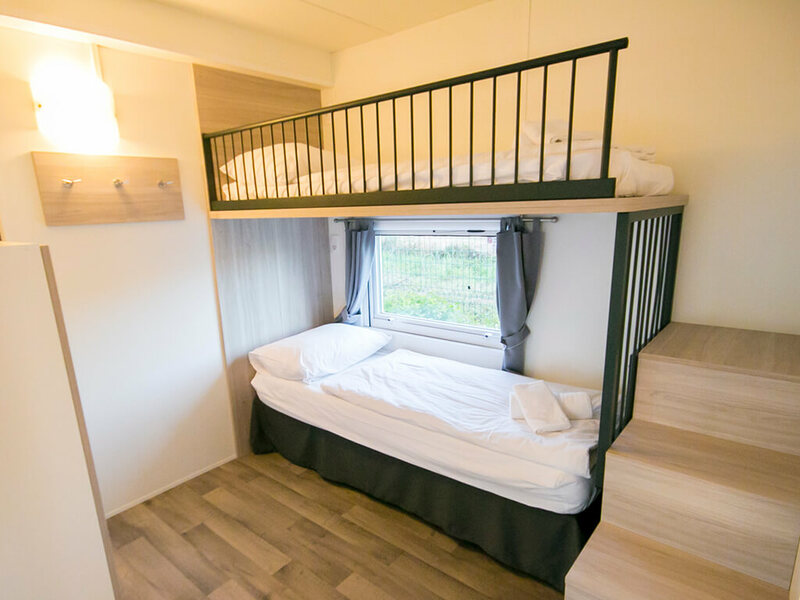 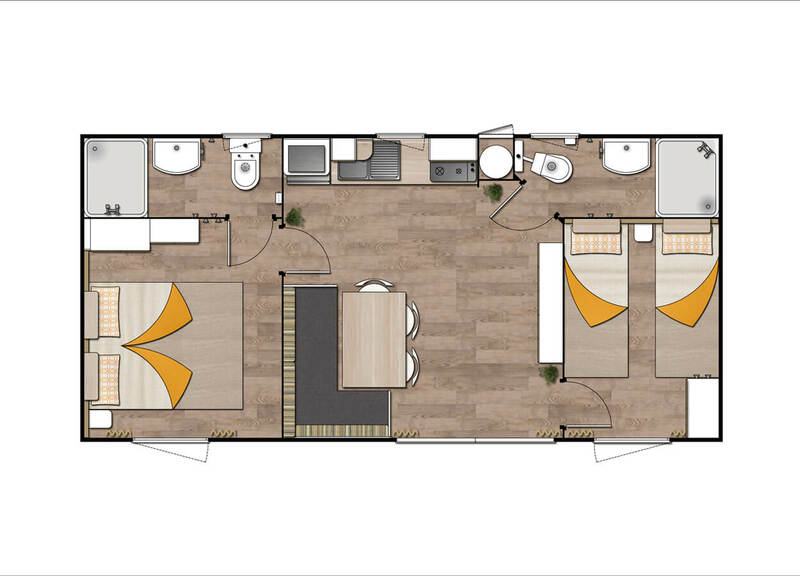 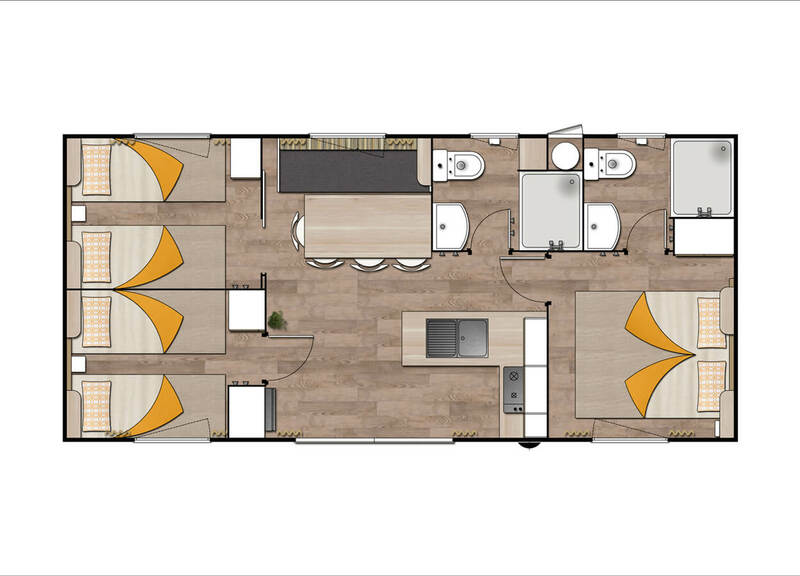 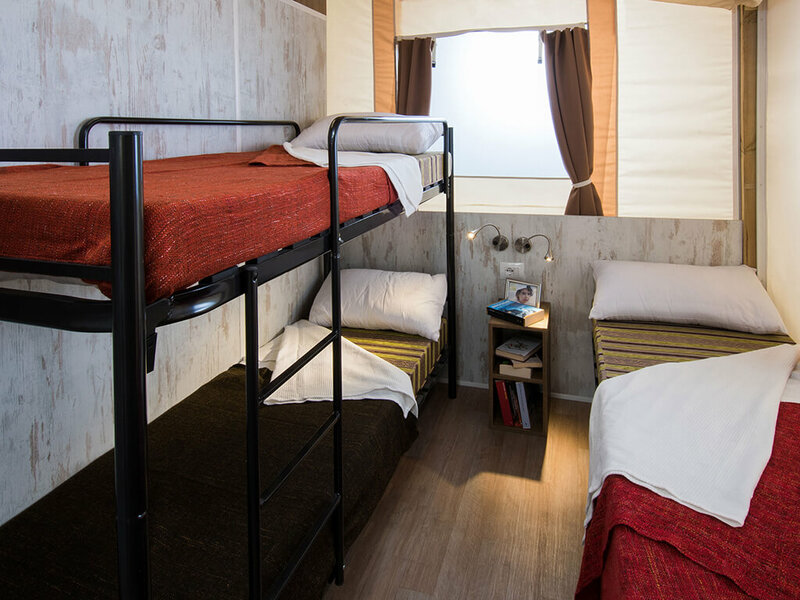 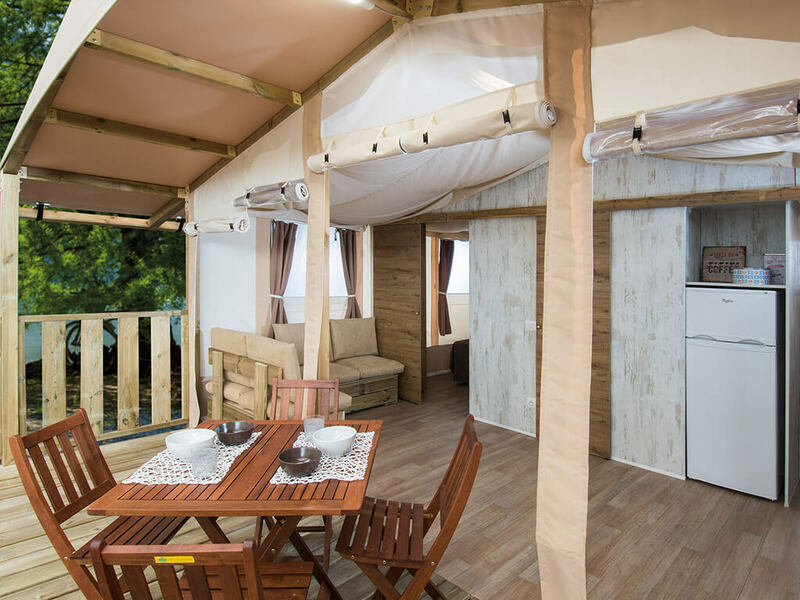 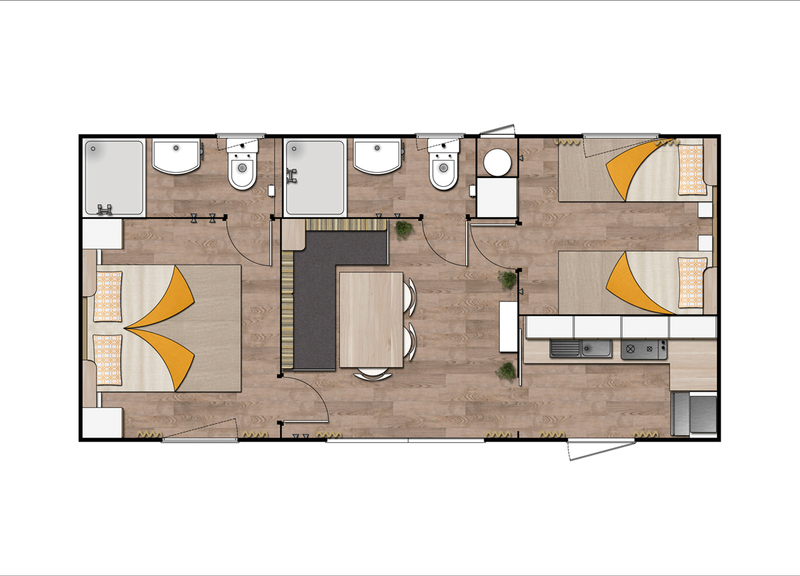 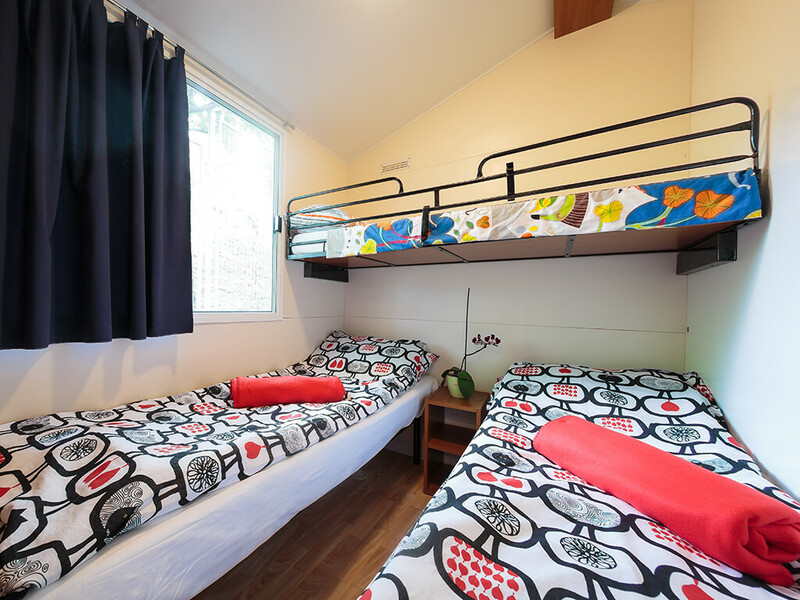 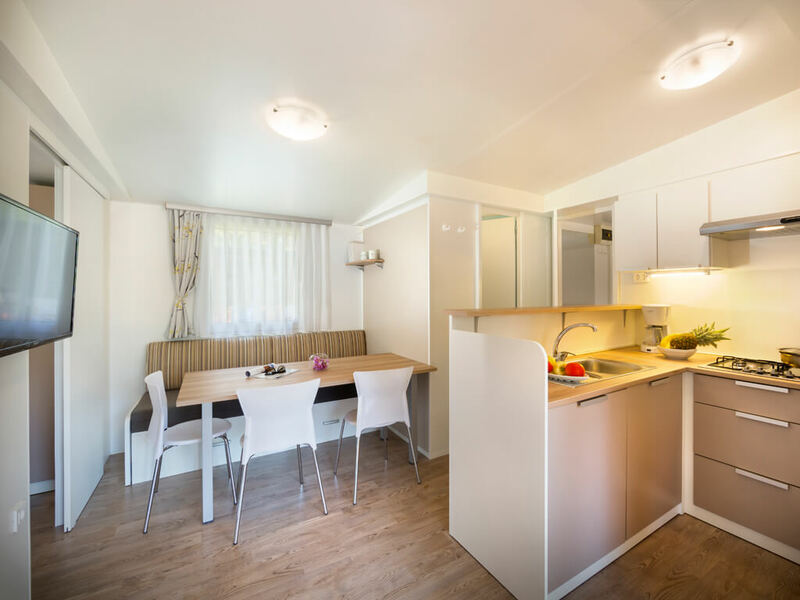 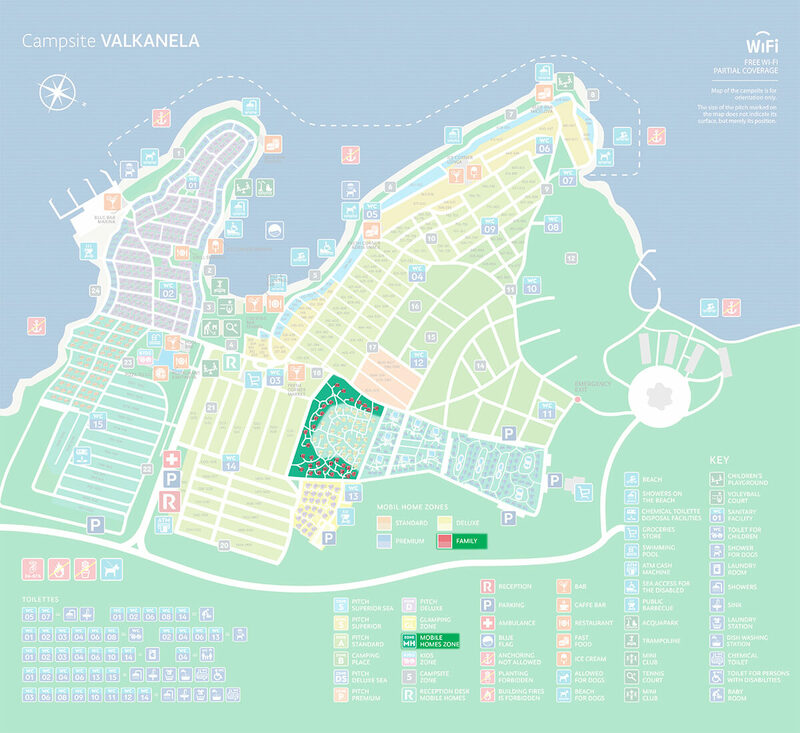 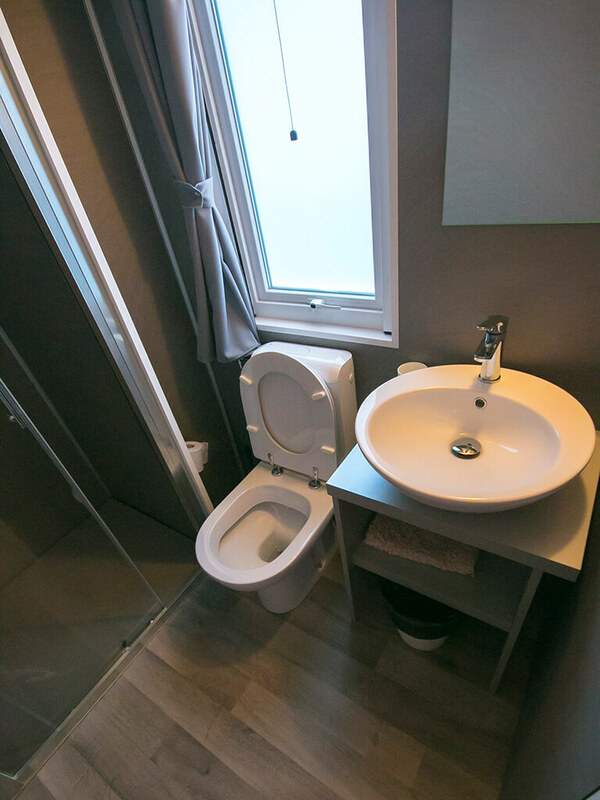 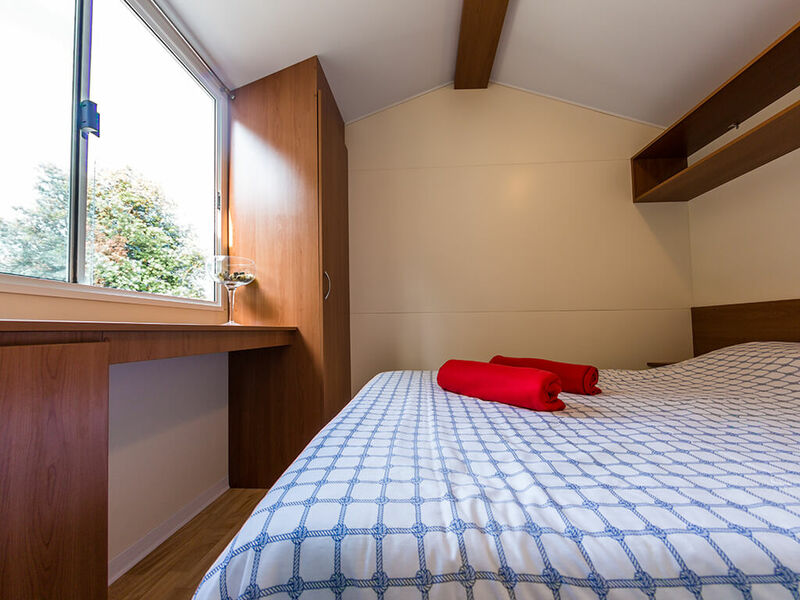 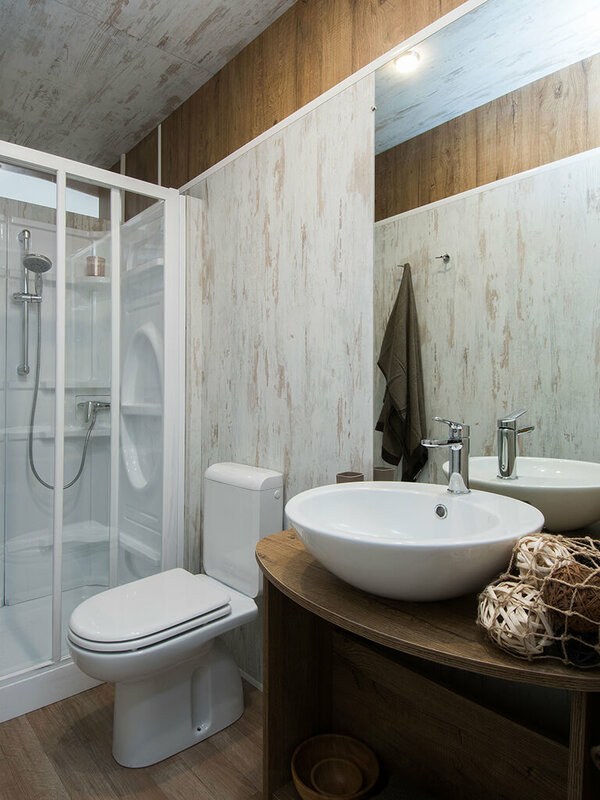 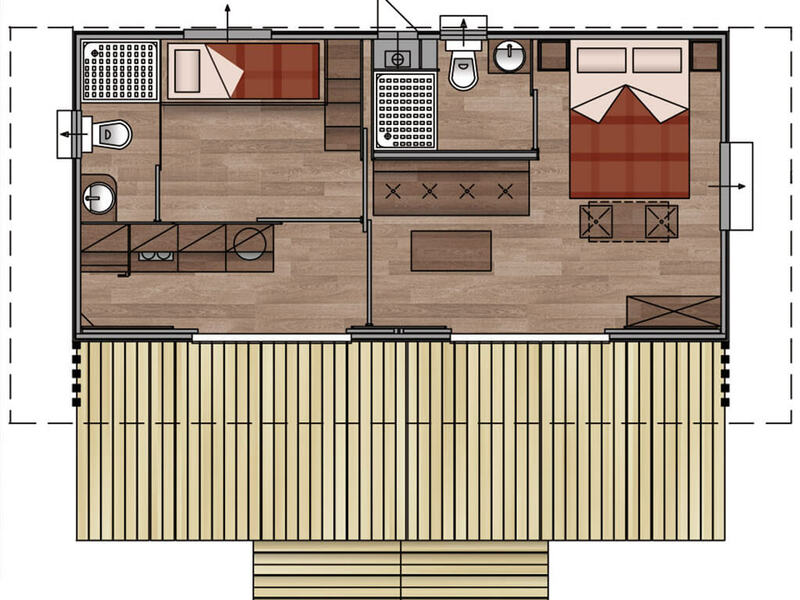 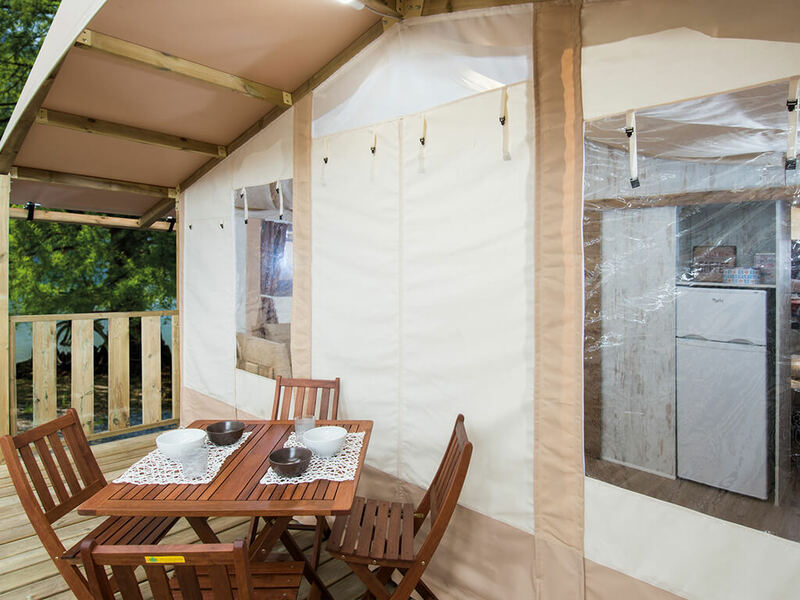 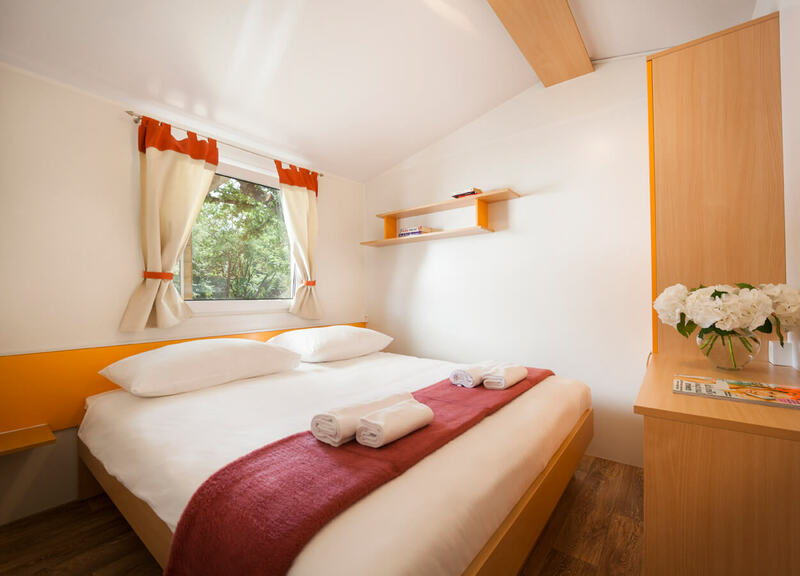 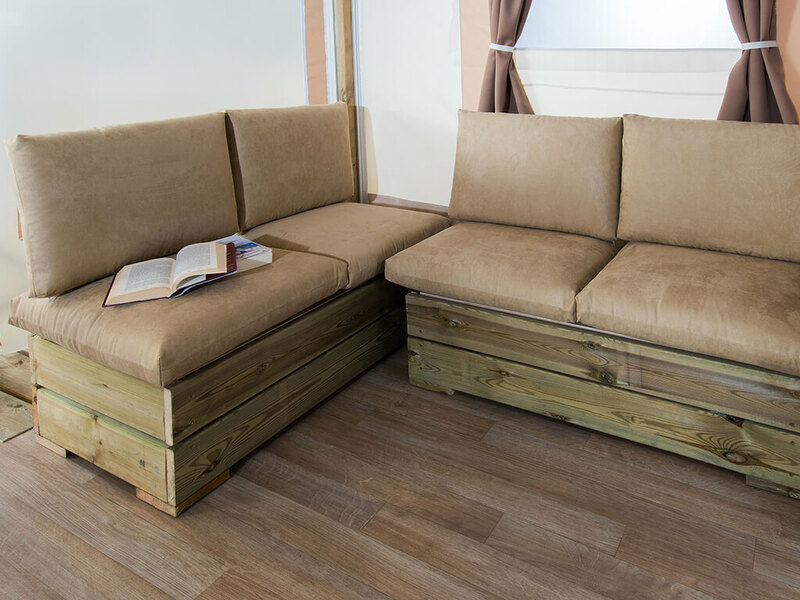 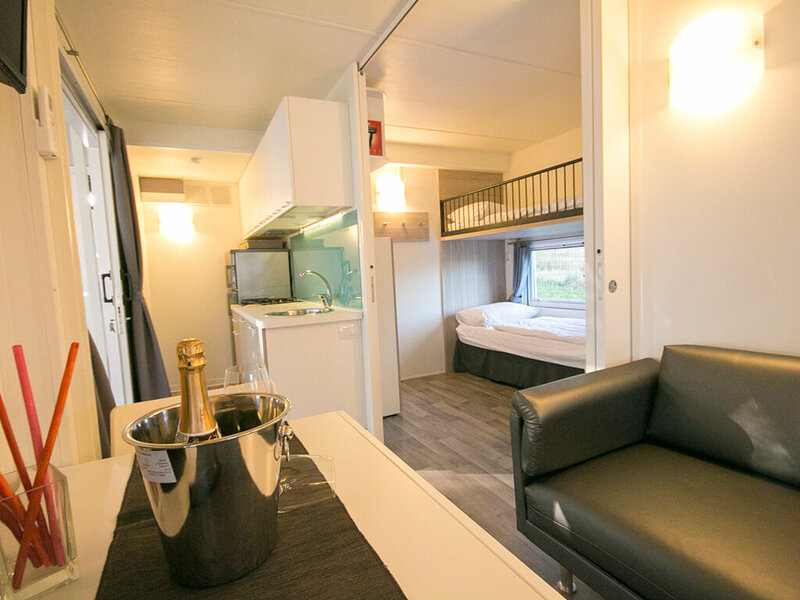 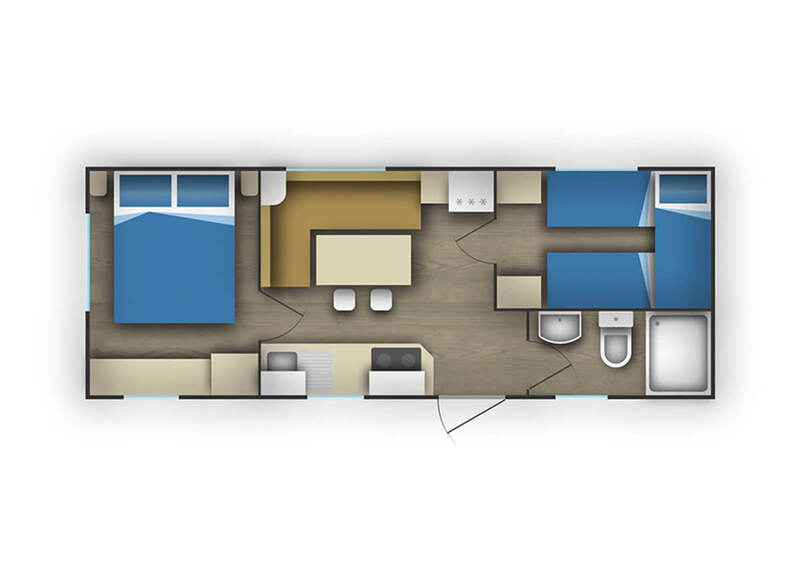 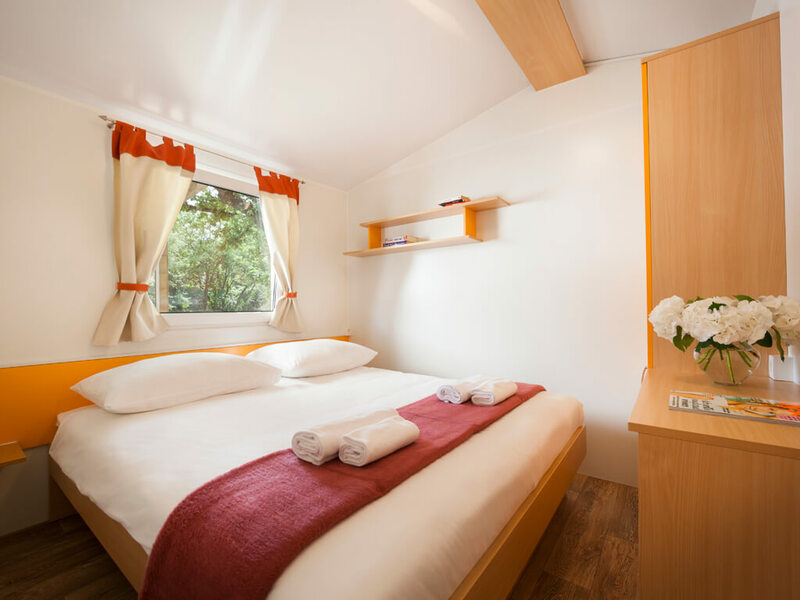 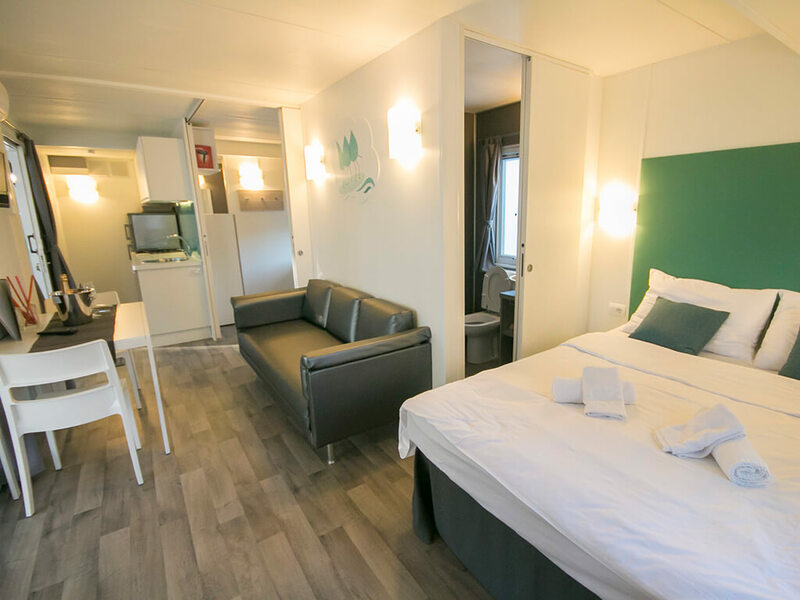 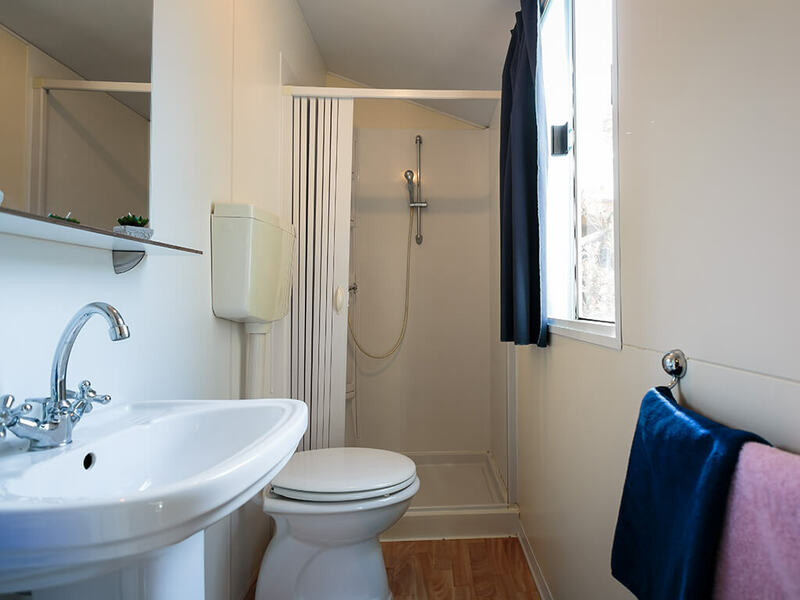 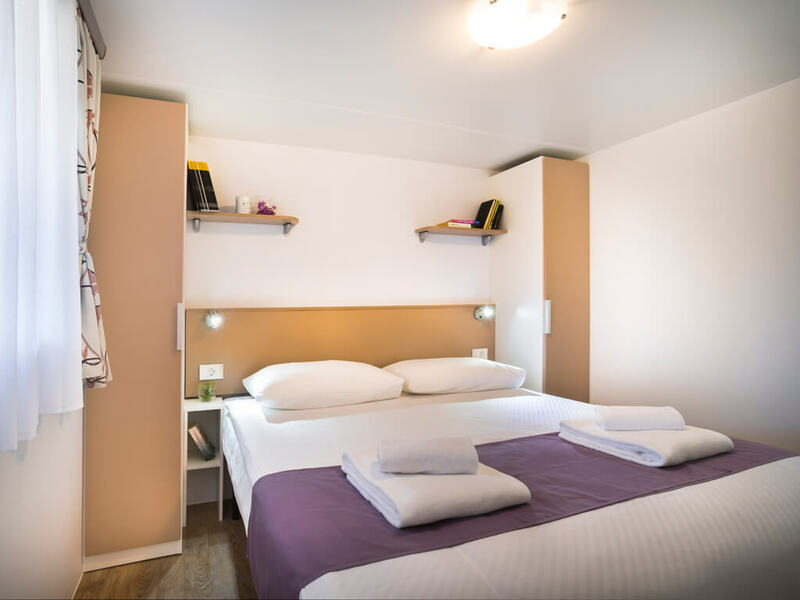 All mobile homes dispose with minimally two bedrooms, while at some campsites; you can also find them with three bedrooms – ideal for 8 persons. 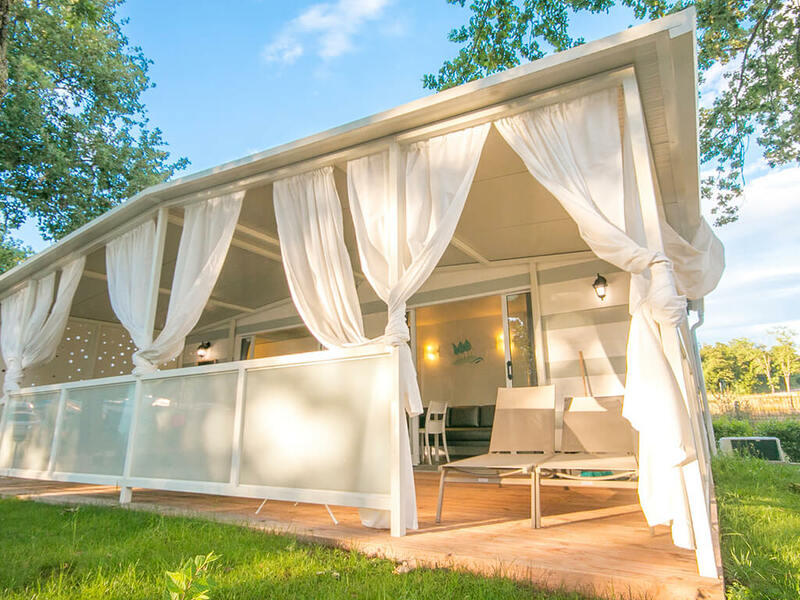 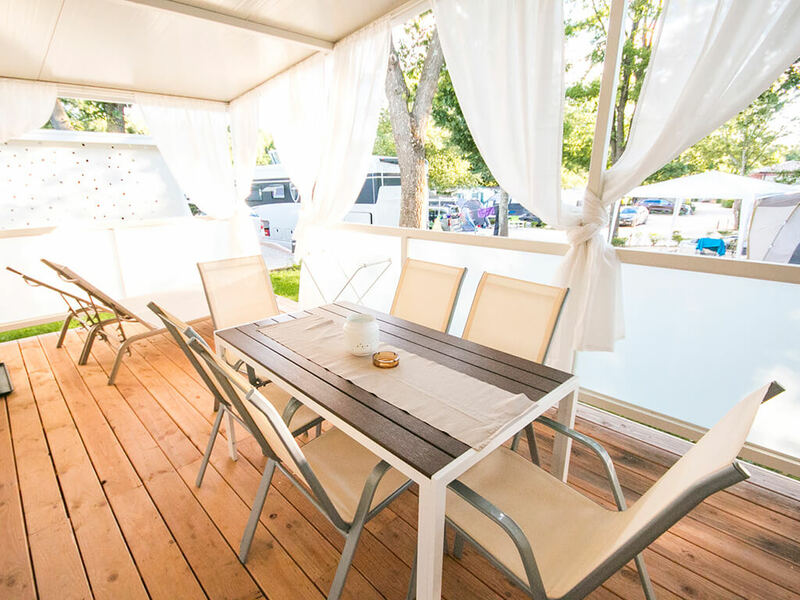 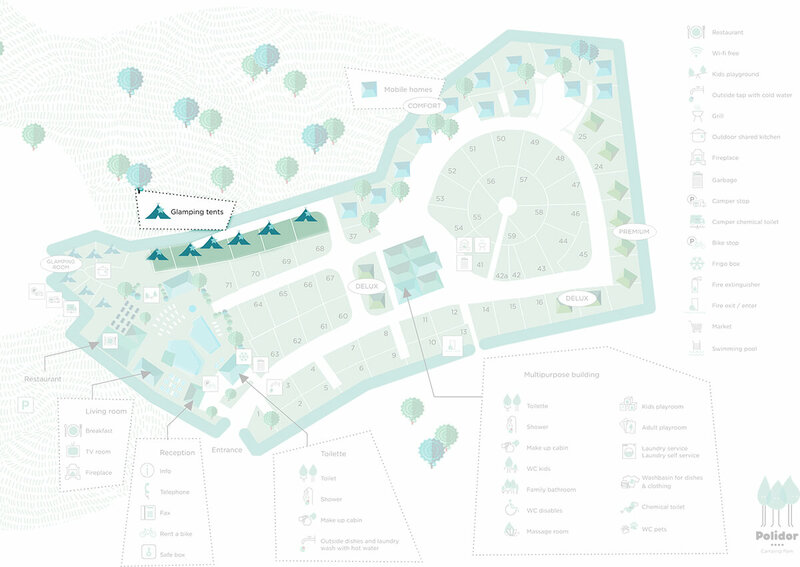 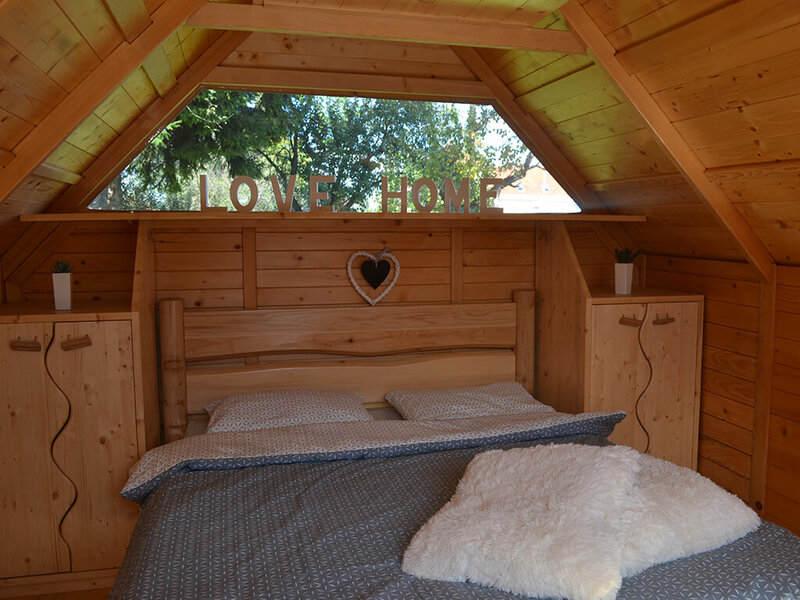 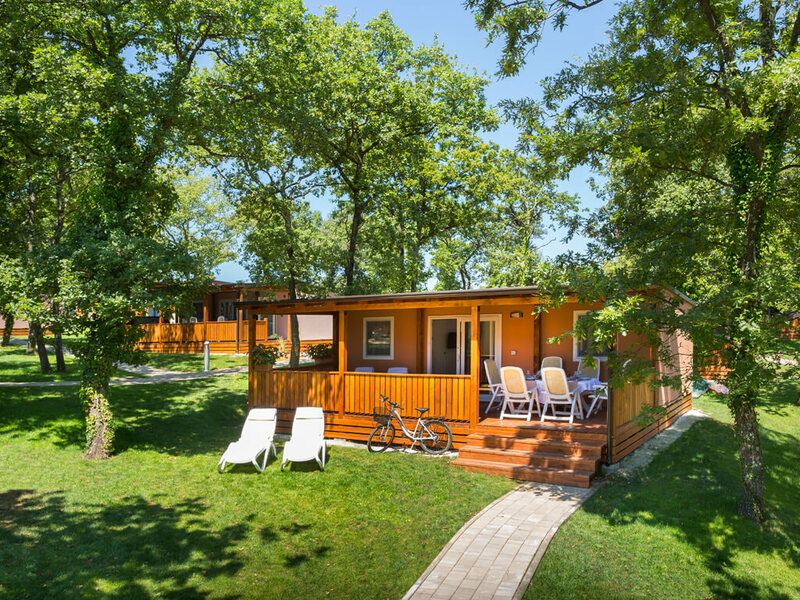 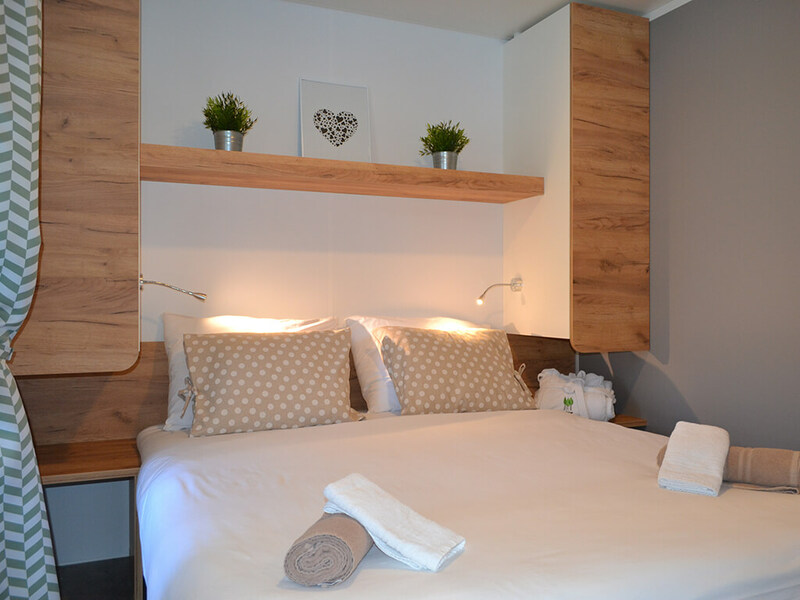 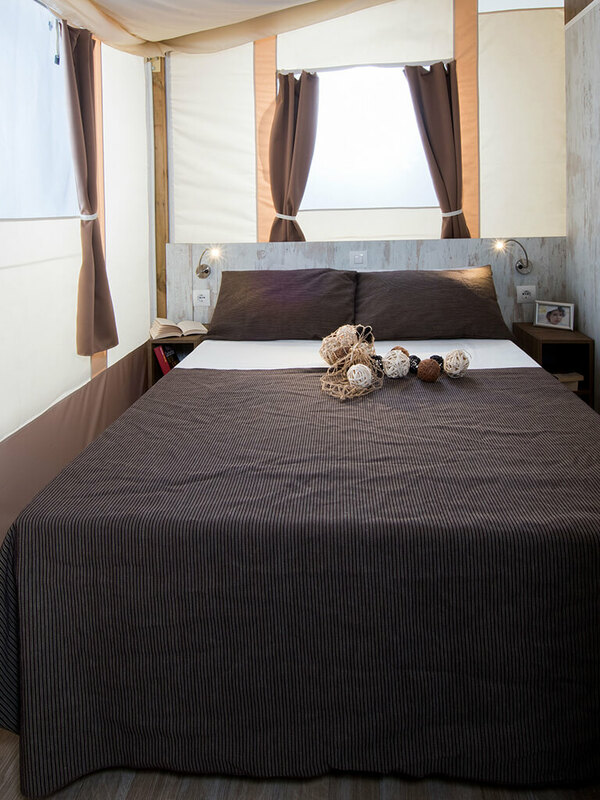 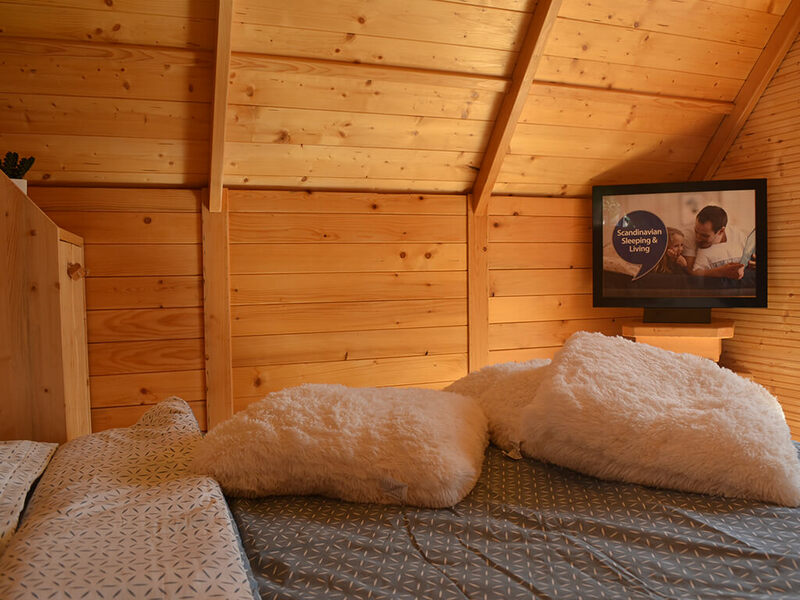 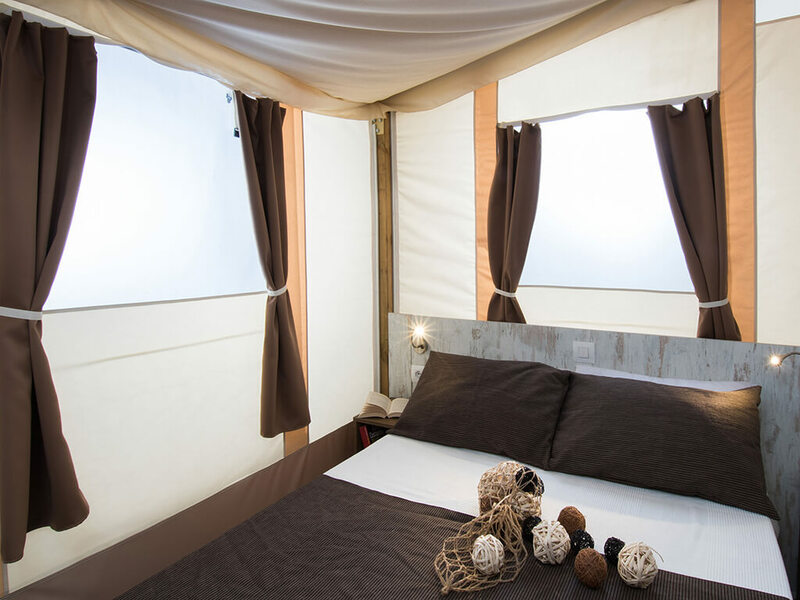 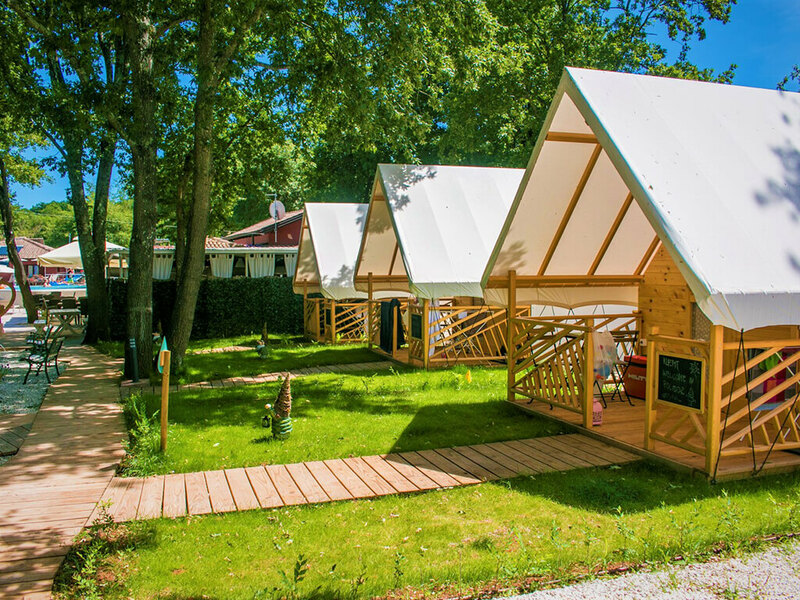 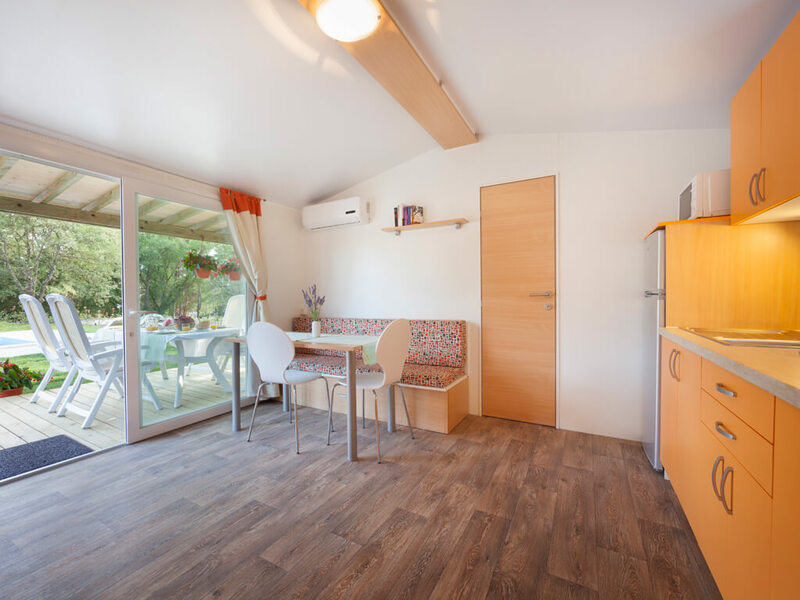 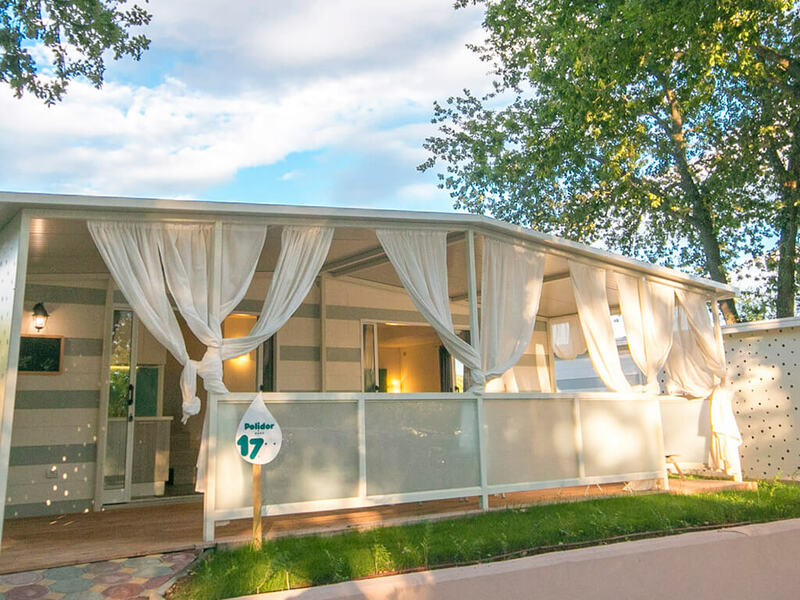 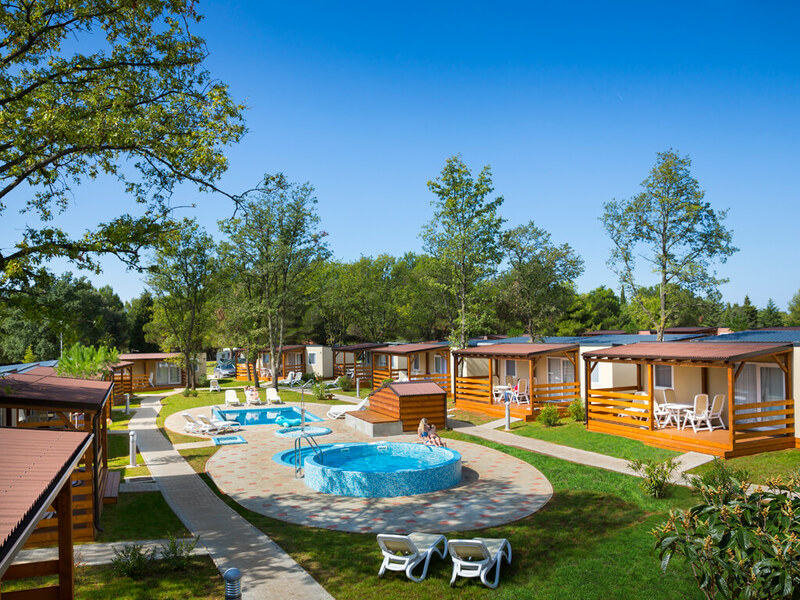 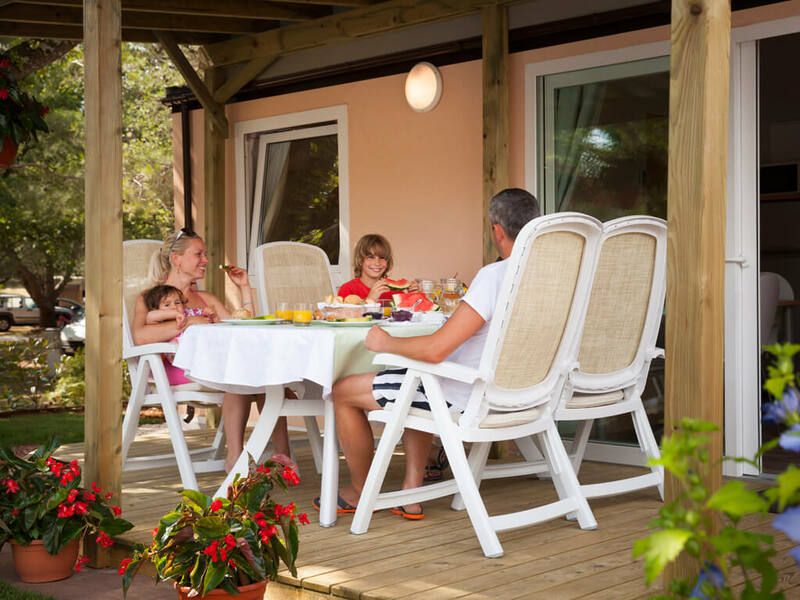 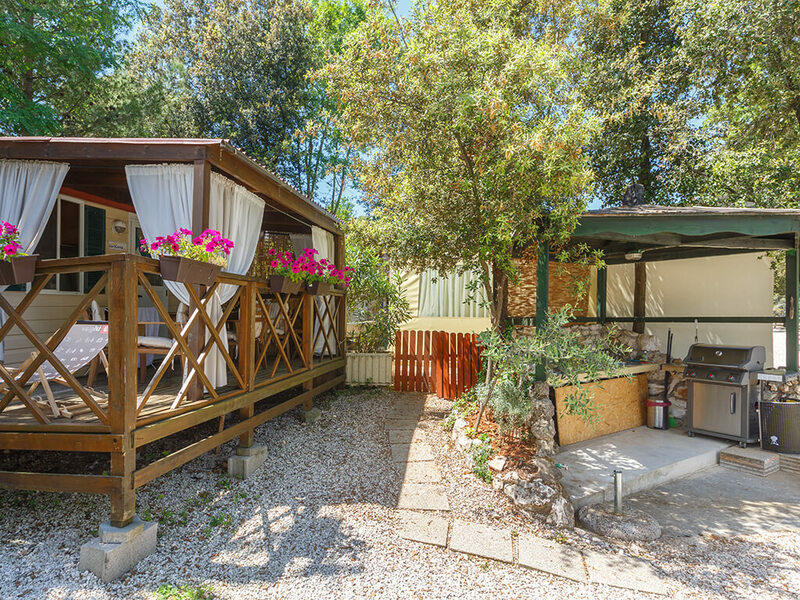 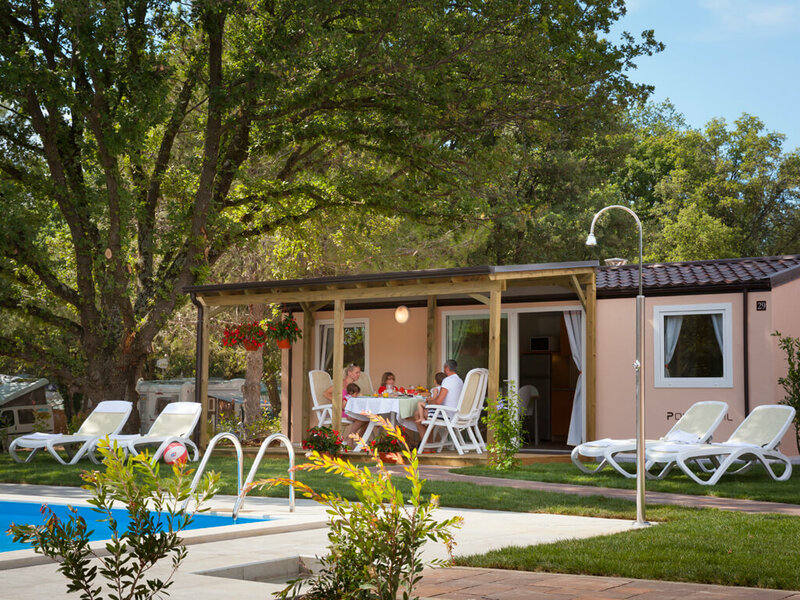 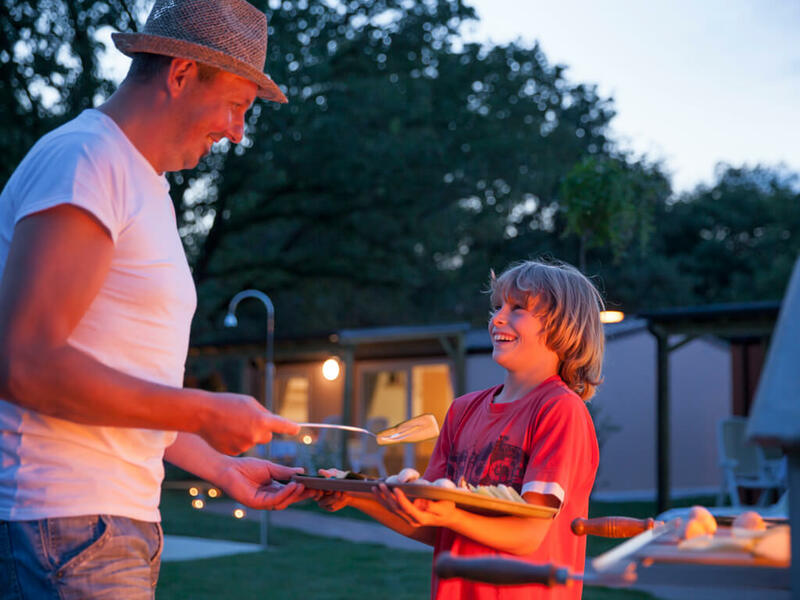 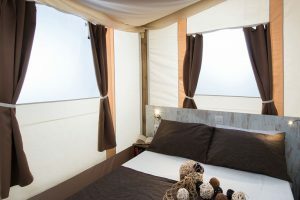 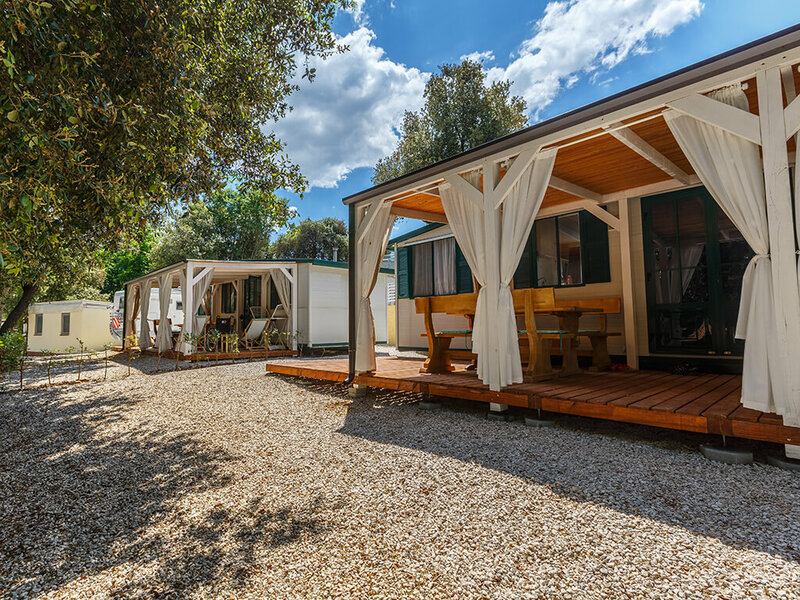 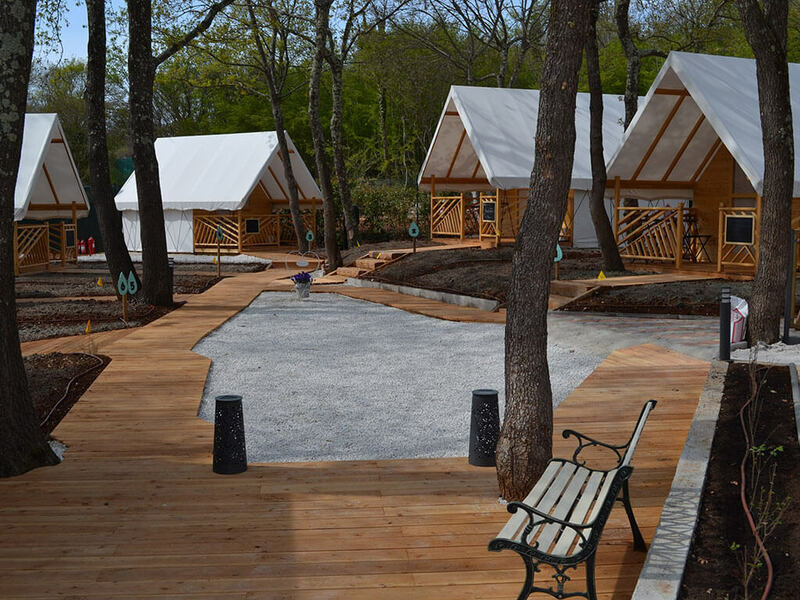 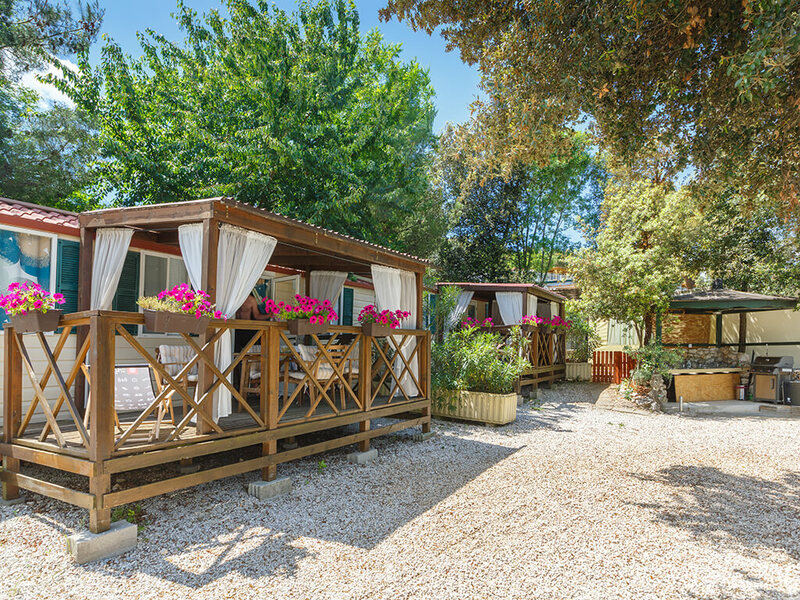 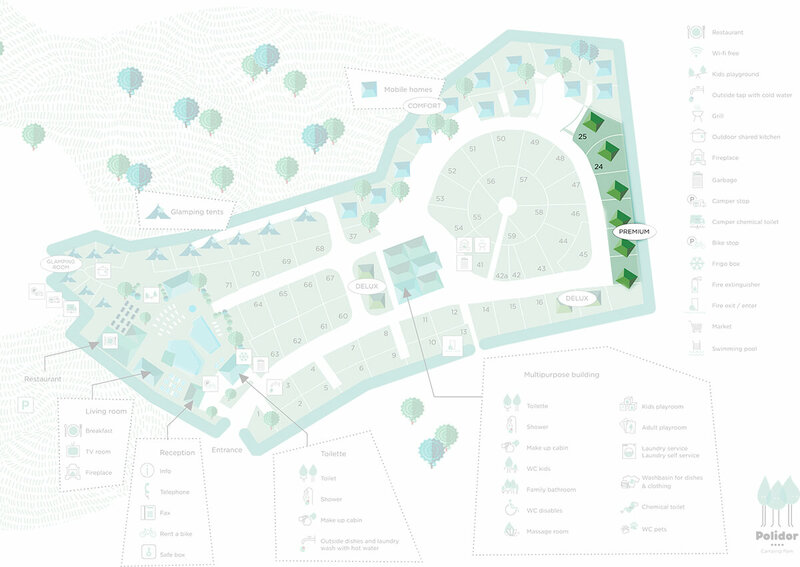 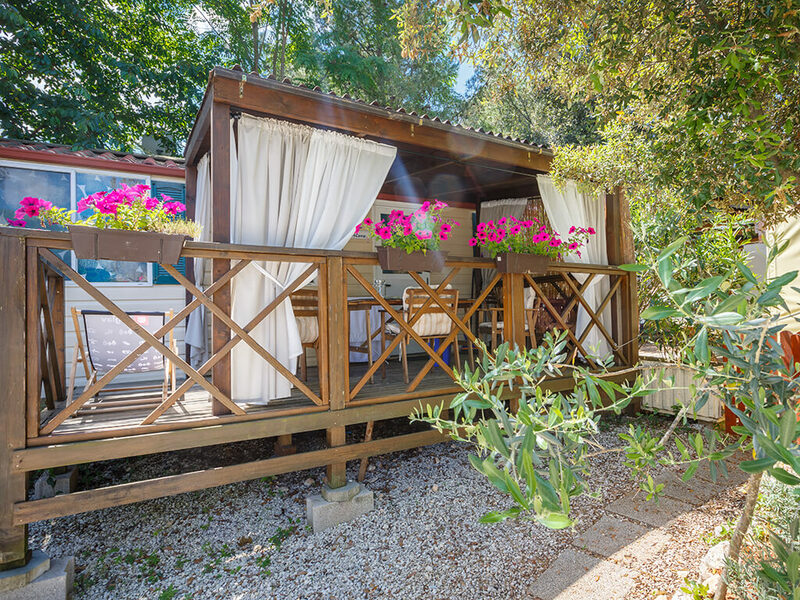 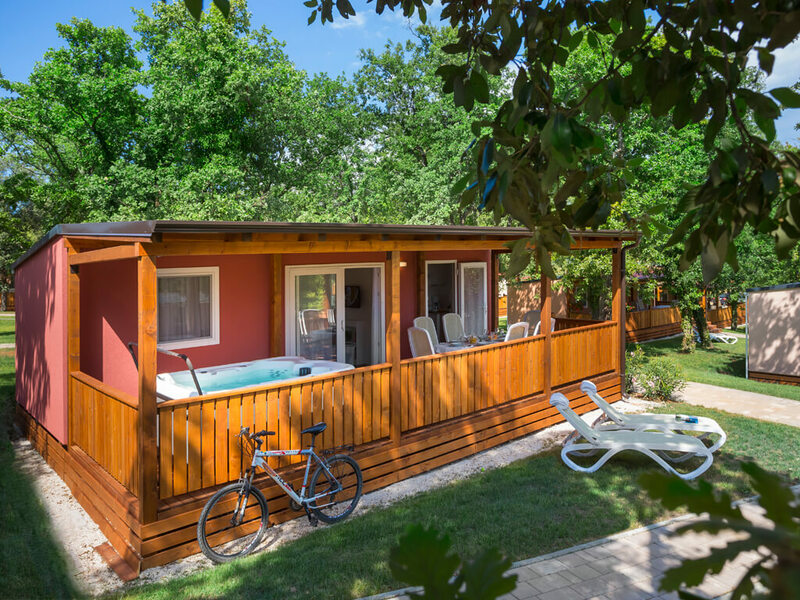 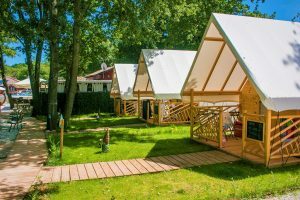 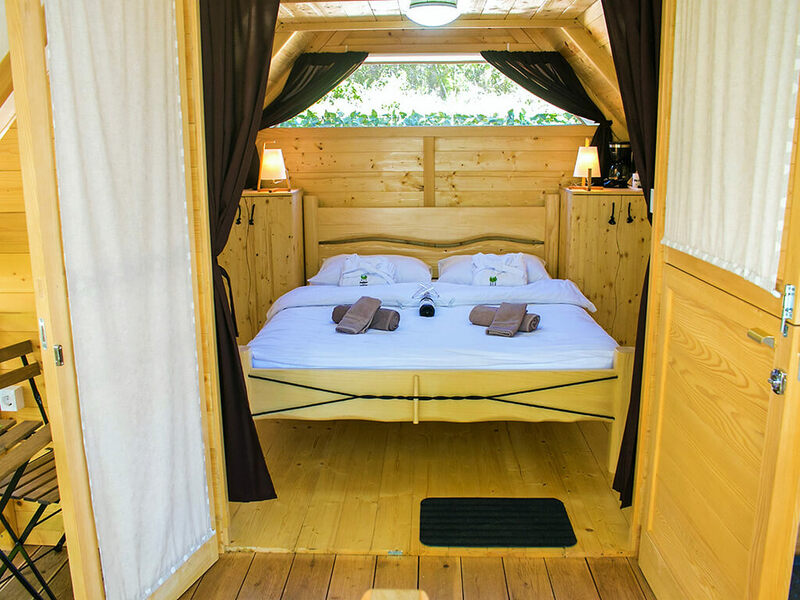 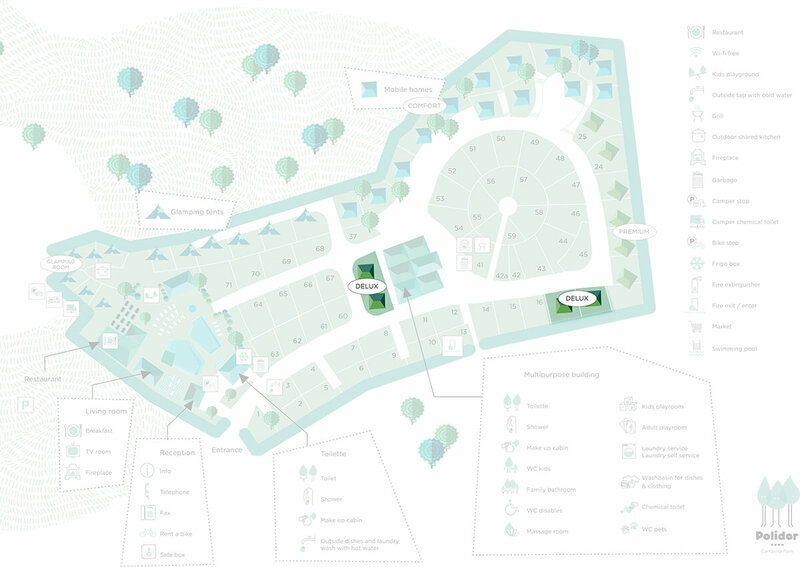 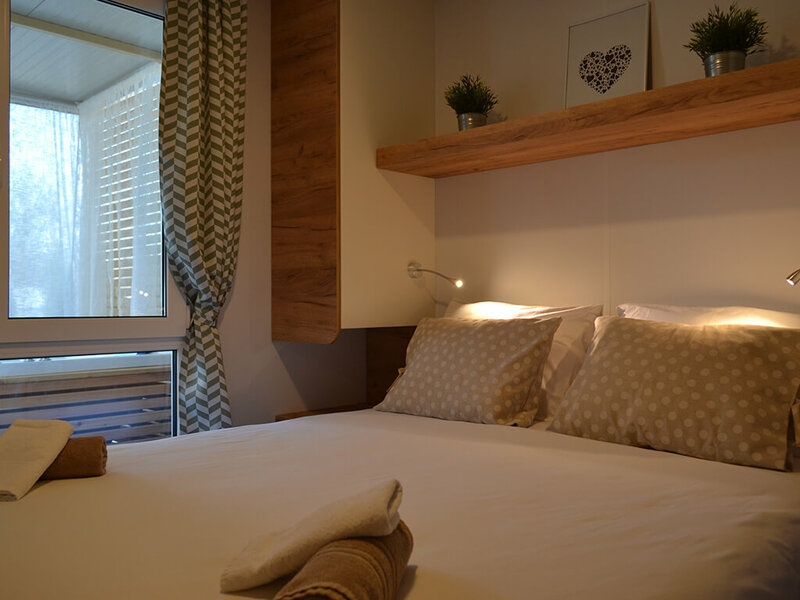 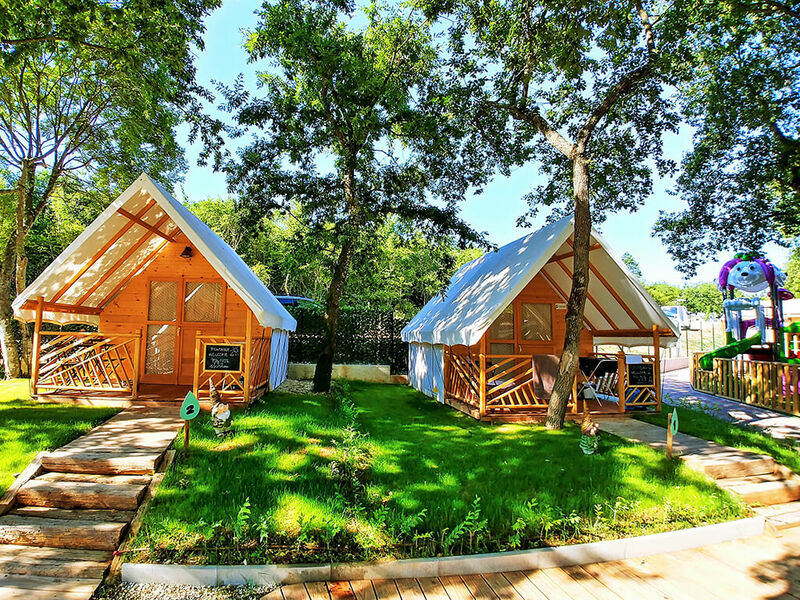 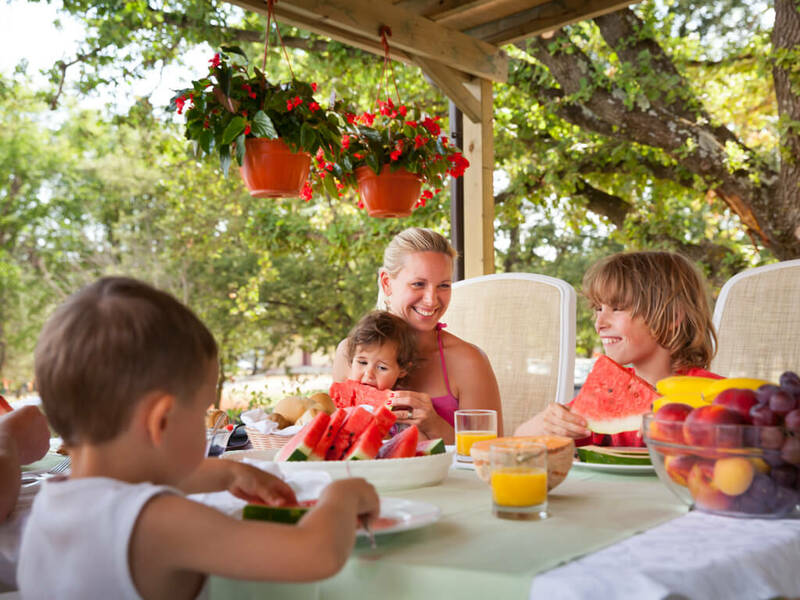 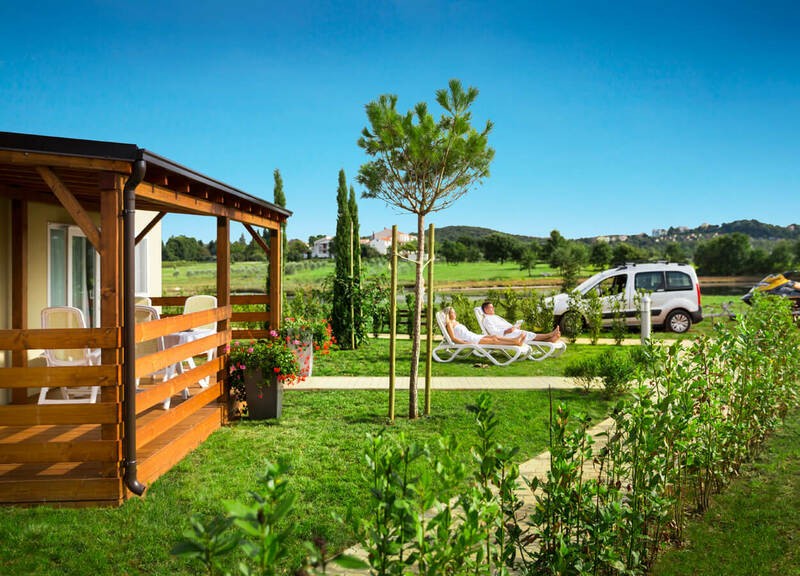 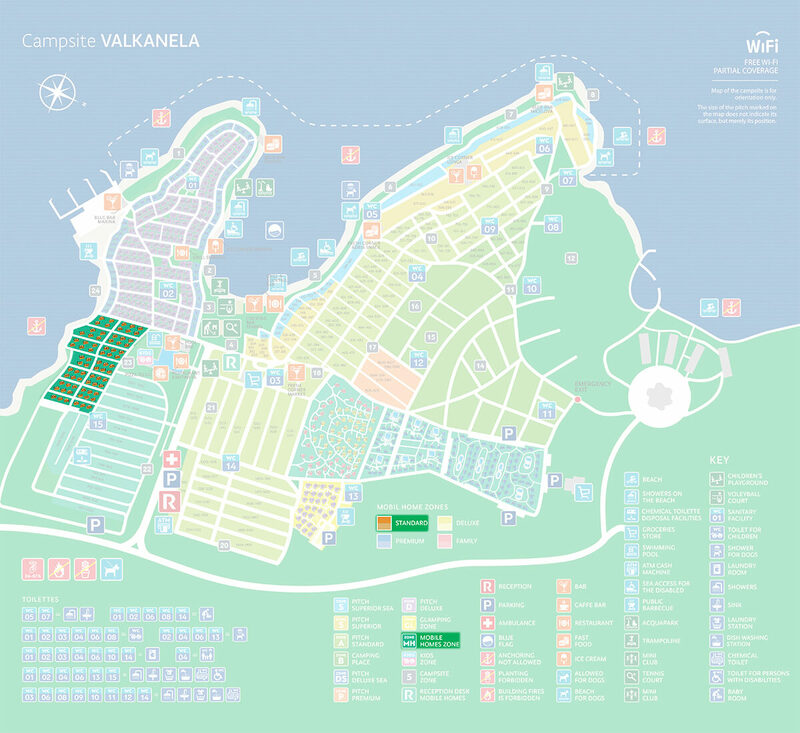 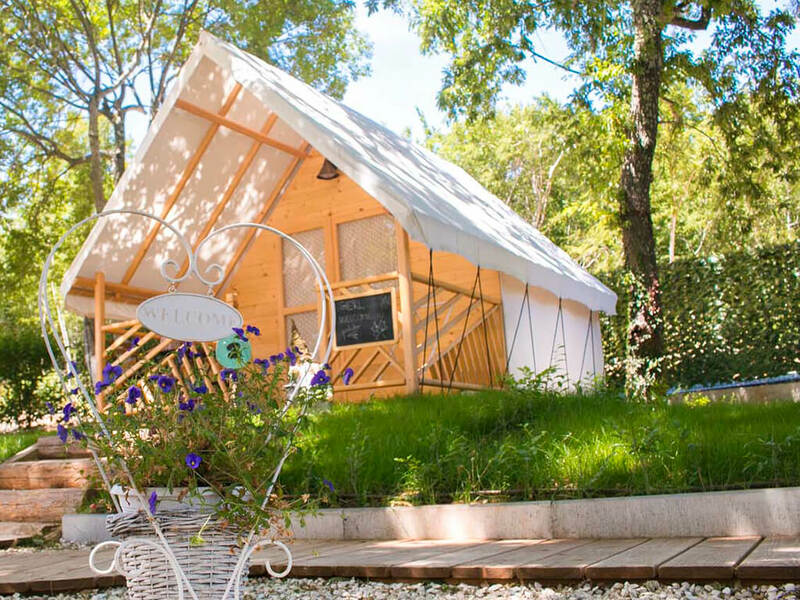 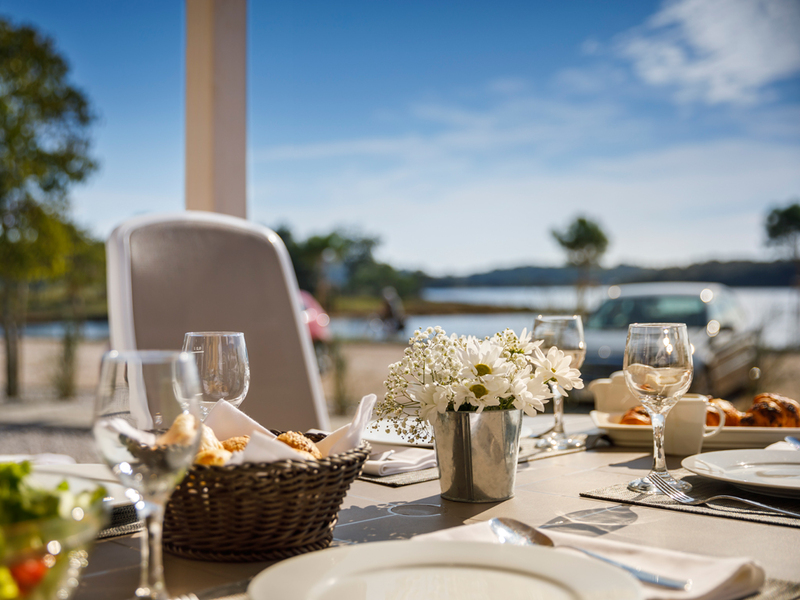 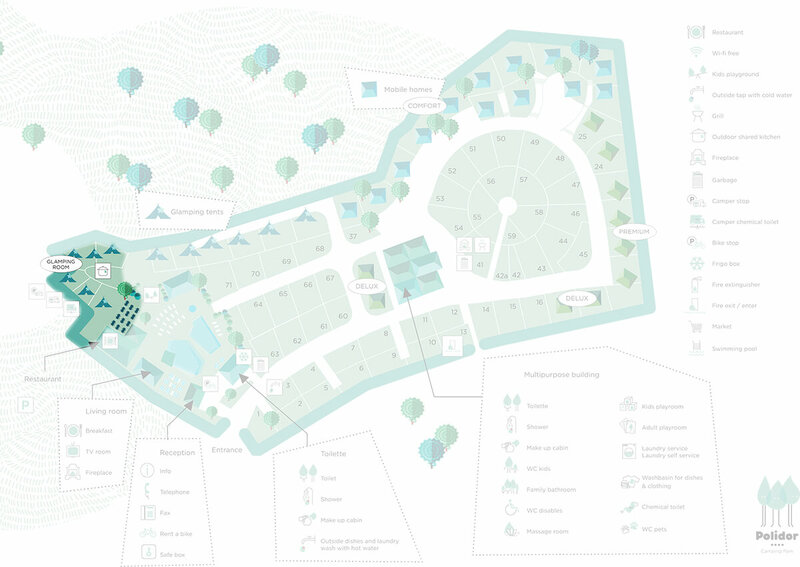 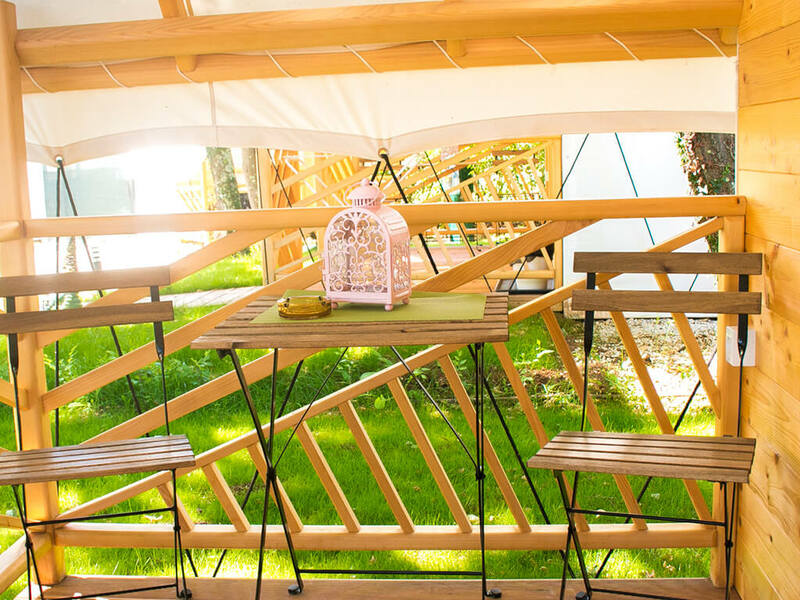 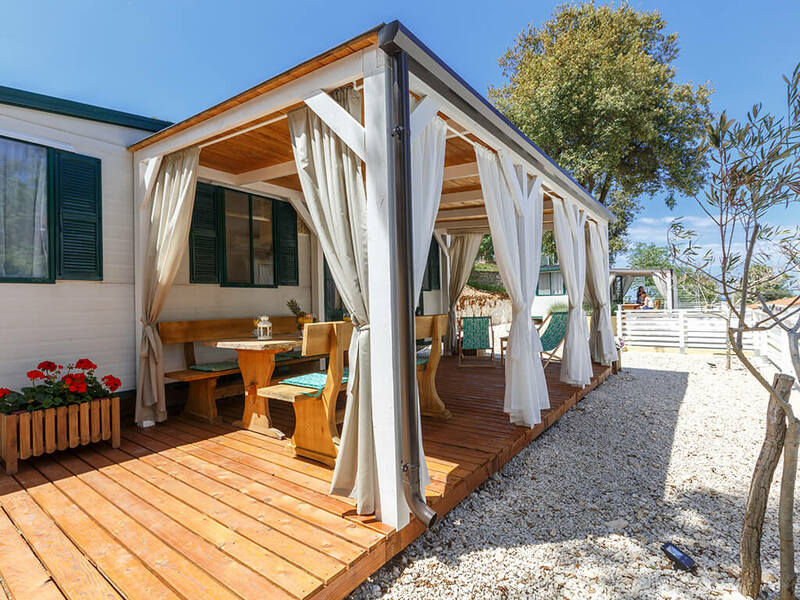 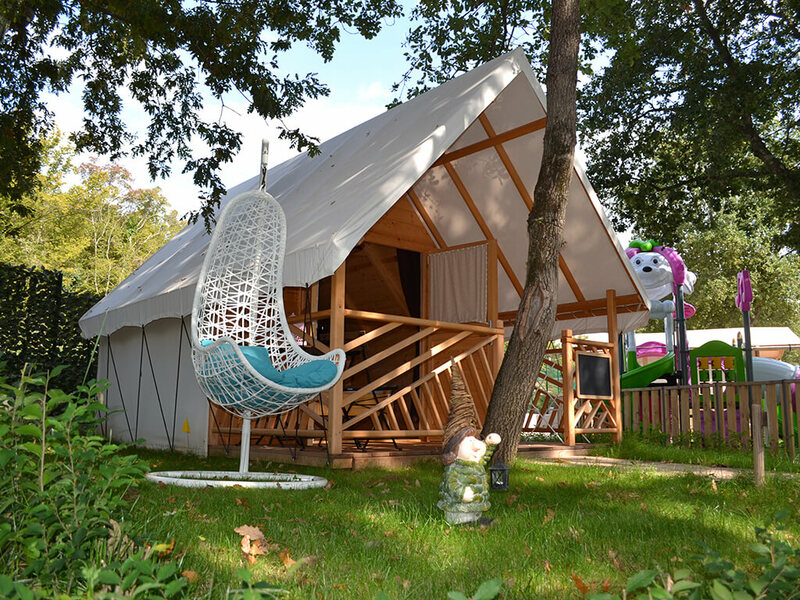 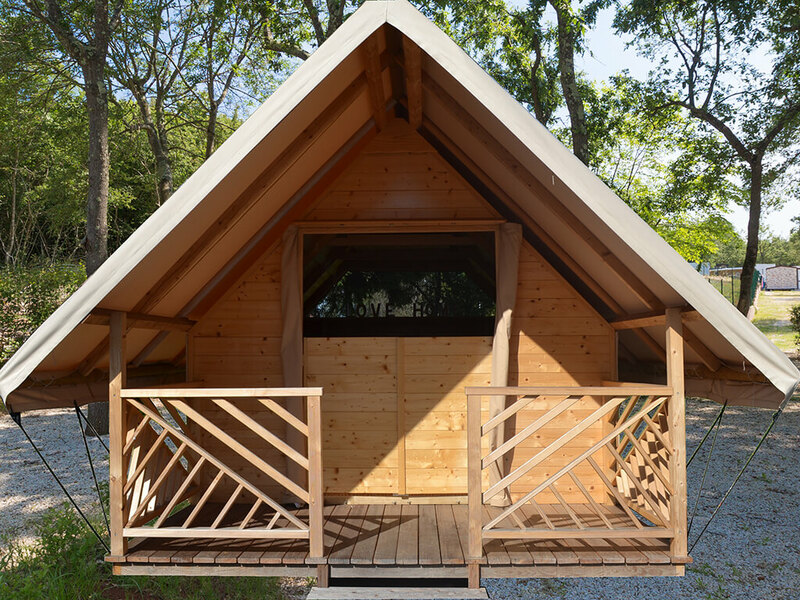 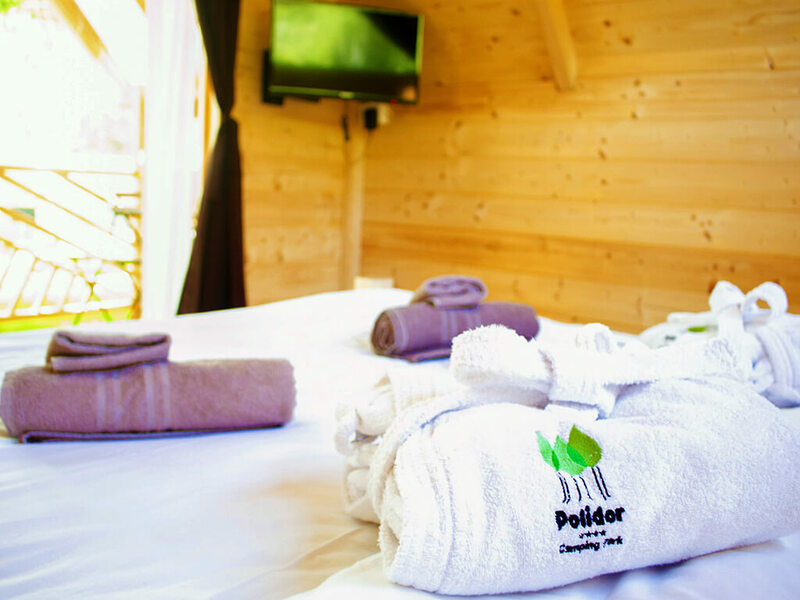 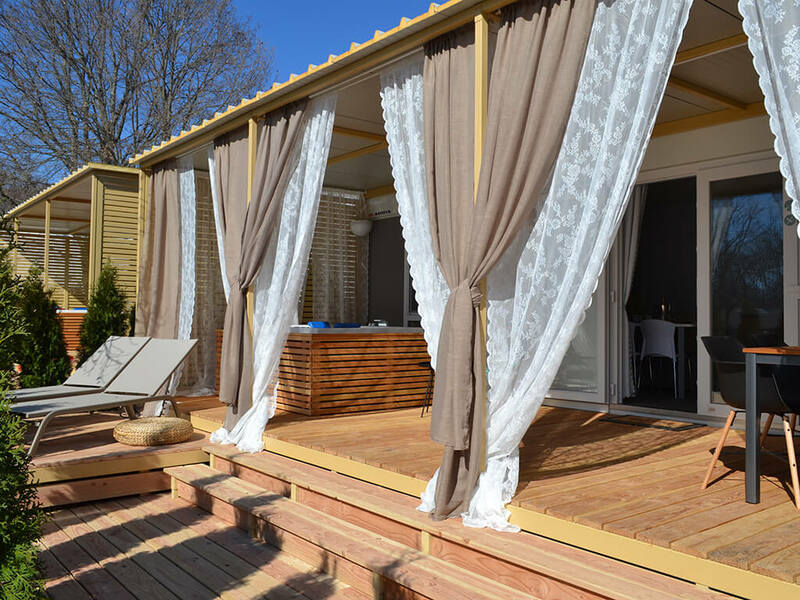 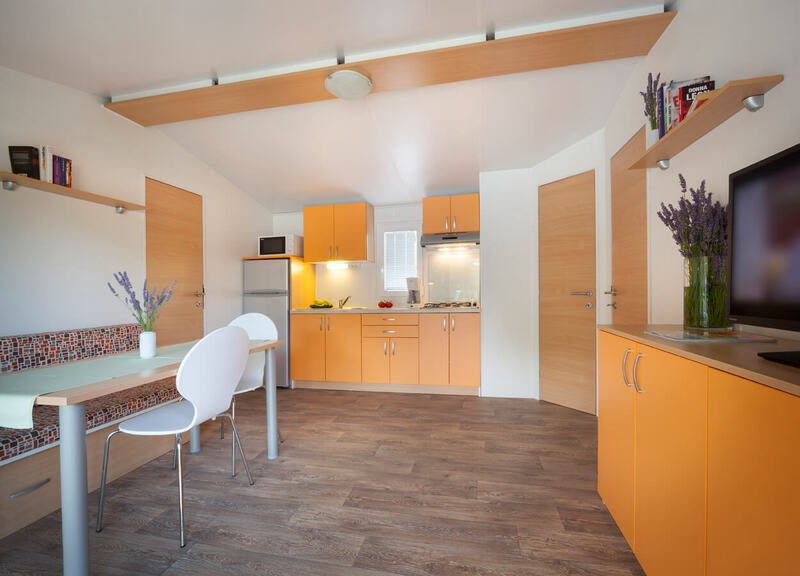 Enjoy the beauty of camping and choose your own mobile home in Vrsar!